PRICE TO SELL!! 34 ACRES OF LAND! IDEAL CONFIGURATION, EXCELLENT DEMOGRAPHICS AND SIGNIFICANT NEW RESIDENTIAL DEVELOPMENT IN THE AREA APPROXIMATELY 2 MILES FROM THE SUBJECT. THIS TRACT READY FOR COMMERCIAL OR RETAIL DEVELOPMENT. NO RESTRICTIONS! BUILD YOUR DREAM HOME! BRING YOUR HORSES AND YOUR COWS! THIS 34 ACRES OF LAND IS LOCATED 0.6 MILES FROM THE NEW PATRICIA E. PAETOW HIGH SCHOOL AND 0.8 MILES FROM STOCKDICK JUNIOR HIGH SCHOOL. 1/4 OF MILE FROM THE GRAND PARKWAY 99, 5.6 MILES TO I10. 8.0 MILES TO KATY MILLS MALL. CLOSE TO HOSPITALS RESTAURANTS MOVIE THEATERS! 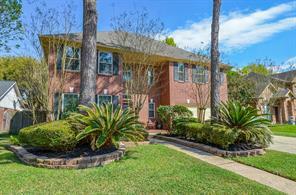 APPROXIMATELY 32 MILES TO DOWNTOWN HOUSTON, 33 MILES TO HOUSTON MEDICAL CENTER. NO MUD, NO HOA. THIS PROPERTY IS BEEN USED AS CATTLE RANCH. THE BUILDING NEXT TO THIS PROPERTY IS ALSO FOR SALE. PLEASE CALL US OR CALL YOUR REALTOR TO SCHEDULE A SHOWING TODAY. THANKS! The property is approximately 35 acres of lightly wooded land ready for development. Perfect for your dream home or farm and ranch. Horses and cattle allowed. The property has been used as a cattle ranch so there are no restrictions on building; residential, retail or commercial. Property is level. Less than a mile from Paetow High School and Stockdick Junior High School. Close to shopping, restaurants, movie theaters, hospitals and more. Quick access to the Grand Parkway which is less than 1/2 mile away. Approximately 2 1/2 miles to I-10 and approximately 32 miles to Houston Medical Center. Fenced. The building on the property is included in the sale. No MUD or HOA. OVER 6 ACRES IDEAL FOR FARM,RESIDENTIAL, RETAIL, INDUSTRIAL, COMMERCIAL, UNRESTRICTED DEVELOPMENT WITH FRONTAGE AND ENTRANCE OFF OF ASHLEY. 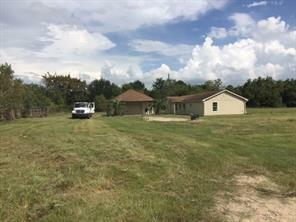 THE 6.33 ACRES PORTION HAS A STABLE WITH 5 STALLS WITH A TACK ROOM AND HAY STORAGE.TWO GARAGES ONE 50 X 35 AND 25 X 40 WITH 15 X 32 CARPORT ATTACHED.1 STORY 1-BEDROOM HOME OVER 1100 SQ.FT. PROPERTY ON WELL AND SEPTIC NO RESTRICTIONS! HAS T-MOBILE TOWER ON 6.3 ACRES PIECE WITH CLOSE TO $800,000 THROUGH 2050 IN RENT!! !4 MORE ACRES WHICH IS ZONED COMMERCIAL WITH NO RESTRICTION IS ALSO AVAILABLE ON 2906 GREENHOUSE ROAD!WITH 3 BUILDINGS ON THE PROPERTY. #1 IS 1400 SQ.FT. OFFICE #2 IS 8098 SQ.FT. WAREHOUSE WITH OFFICE #3 IS 9600 WAREHOUSE WITH 4 OPEN BAYS. THIS PROPERTY HAS ENTRANCE OFF OF GREENHOUSE AND ALSO ON ASHLEY. 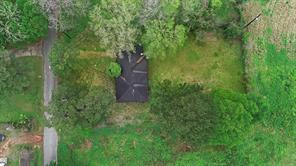 NO RESTRICTIONS.HAS WELL AND SEPTIC.TOTAL 10.3 ACRES $3,000,000!!! PLUS T-MOBILE TOWER WORTH CLOSE TO $800,000 IN RENT THROUGH 2050!!! 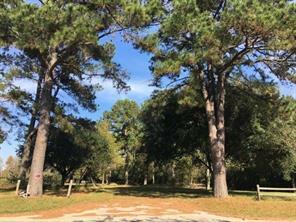 1.6 acre lot on southeast corner of Katy Ft Bend Road and lakecrest Manor, clear, unrestricted ready for Town homes or apartment & any other development, endless possibilities, we do have Phase I & II and survey , will be released with the confidentiality agreement, ask agent to provide them for you. 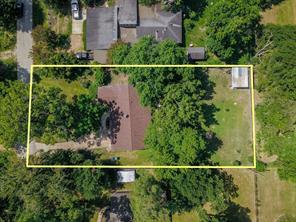 1.68 acres clear lot on the hard corner of Clay and Clay Hill Dr. Hard corner. Over 488’ sf frontage offering great visibility.Just one block from Hwy 6.Perfect for the retail strip, gas station, car wash and a free-standing building with drive-thru. Utilities ready (Harris County U.D. #6). 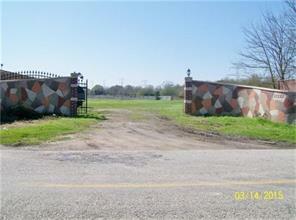 Unrestricted lot with 1500 sqft Warehouse on 1 acre in great area. More than enough room to build out or even build a home. Currently being used as a welding shop, but can also be used as machine or mechanical shop. 3 phase power. Large bay door. Land has been cleared. Paved parking, Gravel drive. 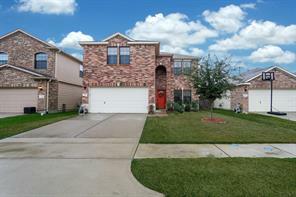 Easy access to 1-10 and Beltway 8. 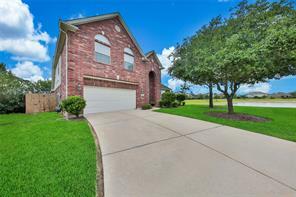 Zoned to the highly desirable Katy ISD school district. Location, location, location. 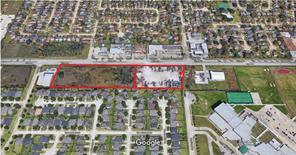 Energy Corridor - 18,900 sq ft unrestricted lot. Convenient access to I-10 and the Beltway, Energy Corridor, City Centre, Town & Country, Memorial City Mall and more. The site is 5.44 Ac (224’x1058’) and is unrestricted, commercial or residential, great location for private homes, ranches, subdivide into smaller lots, industrial, storage facility, mobile home park, RV park, wedding venue, etc. Additionally, it sits across the street from the Elyson Development, which is a master-planned community by Newland Communities and comprises over 3,600 acres, is planned for more than 6,200 homes, a significant commercial core, amenities including a community center with a pool, fitness center and café in the first phase, future on-site schools, and an open space and trail system that will connect the various neighborhoods. It is also near Ventana Lakes, King Crossing and Morton Creek Ranch. The property is also just down the street from KISD’s new Paetow HS and Stockdick Junior High. No Restrictions. This property is located on Stockdrick School Road. It is surrounded by matures and backs up to South Mayde Creek. Potential for many different uses. Already has sewer, water and electricity. 6.509 Acres UNRESTRICTED, Commercial or Residential, Build your dream home or business, ranch, subdivide into smaller lots, industrial, storage facility, mobile homes, RV park, etc. GREAT LOCATION! Just minute away from 99 and I-10. ENERGY CORRIDOR!!! PRICED TO SELL!! This is one of the best location on the West side. Easy access to I-10, Katy, Energy Corridor, City Centre, Memorial City Mall and more. Beautiful 1 story located in a niche wooded cozy community with <1/2 Acre lot. Completely remodeled. No HOA, No restrictions - Boat and/or RV Parking allowed. Seller is selling "AS IS". 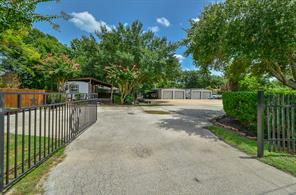 One of kind well maintained almost 1 acre property tucked away on a private street with a sparkling pool that is zoned both residential and commercial only minutes from I-10 and Barker Cypress. 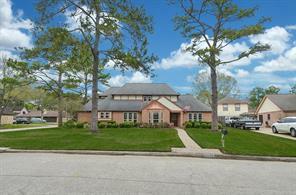 Where else in Houston can you can operate your business, live on site and the property is zoned to Katy ISD. Great for landscaping, equipment companies. A very rare find and won't last long! Property is completely fenced, has a sprinkler system and mostly paved with 2 -24 x 24 metal storage buildings. The 1.5 story main living has 3 bedrooms/2.5 baths is 2340 square feet and has decking that surrounds 3 sides of the home. It has a mobile home used as additional office space that is 540 square feet with 3 rooms and a half bath. It also has a 220V electrical hookup where you could park your RV. Property DID NOT flood during Harvey! Come and see it today before it is gone! Gorgeous, custom home in the prestigious Amesbury Park subdivision. An open floor-plan with a dramatic wood- trimmed wrought iron staircase that creates a grand entrance. Butler pantry opens up to an island kitchen with stainless appliances and granite counter tops. Beautiful back yard equipped with a heated salt water pool and spa as well as a built in mosquito repellent system along the perimeter. 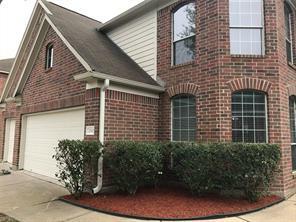 Some other positive attributes include: an alarm system, over-sized garage, is within close proximity to golfing, and is zoned to the highly sought after Katy ISD. This home was built to last with 72 construction piers within the foundation. Did not flood! NEVER FLOODED!!!! Beautiful & immaculate stone/brick 1 story on 1 of the most desirable lots in Ventana Lakes w/ side greenbelt and at the end of cul-de-sac so private w/ miles of space for kids to run & play. Awesome open, bright floor plan offers generous room sizes, high ceilings, separate closets in master & too many upgrades to list! Gorgeous professional landscaping w/ outdoor LED lighting, extended huge covered patio plumbed, wired & ready for outdoor kitchen. 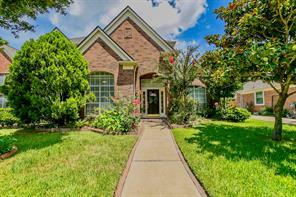 Great neighborhood & walk to pool & Katy schools. Pictures are taken prior to move in. The home is occupied. This beautiful home is located in a prestigious enclave of custom homes & includes amazing features like extensive millwork throughout, hardwood floors, spacious chef’s kitchen w/ beautiful cabinetry, granite counter tops, stainless steel appliances & built-in refrigerator (that stays with the house). large master suite accented with lovely bay windows. Whirlpool tub w/ separate step-in Shower, dual walk-in closets & sinks in the master bath. Large windows & built-ins throughout, double-sided fireplace in the den. Huge bonus room over the garage is currently a "music room" but could be (additional quarters, office or media room). 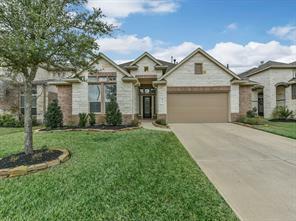 Amazing yard, Front & back w/ gorgeous mature trees including Pecan that backs to a 2-acre private neighborhood common area, covered patio with plenty of room left over for a pool! Quick access to Pine Forest Country Club, Addicks Park N’ Ride, Energy Corridor, amazing shopping & dining. This lovely home did not flood on Tax Day or Harvey. WELCOME HOME!!! Why wait to have a home built? 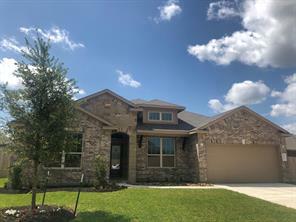 Come see this gorgeous 5/4/3 home nestled in the beautiful Ventana Lakes subdivision that is "Calling Your Name" and "Move In Ready"! This home has everything you can think of! 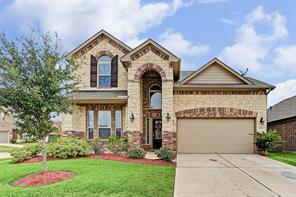 From wood floors, granite counters and kitchen island, high ceilings, the master and a second bedroom downstairs, an office/formal living room, large utility room, 3 large bedrooms and game room upstairs to a beautiful large custom covered patio with power! And there is still lots of yard left for you to install your custom made pool!!! Don't let another moment pass you by - This is a MUST SEE! Do not miss out on this Gorgeous Perry home on a premium water view lot. Shows like it was featured in a Design Magazine. Lounge in your all weather enclosed porch over looking the green space water view and enjoy the beautiful Katy Sunsets. 4327 San Pellegrino Pl is all brick/stone and Cement board built (low to no maintenance), offers 4 bedrooms, 3 full baths with a game room that could be a 5th bedroom. A large open concept kitchen, living room and dining room for maximum entertaining. Game room/TV room and all weather porch allows for extra living space to host Movie or Sports nights with friends. A short walk to the Park and neighborhood pool. A Generac whole house generator is installed so even the strongest storms you will never be without electricity or lights. Sellers have added so many upgrades, get with your Realtor for the upgrades list and schedule your showing to see your new home. NEVER flooded. Find everything you’ve been searching for in the highly sought-after Legends Ranch. 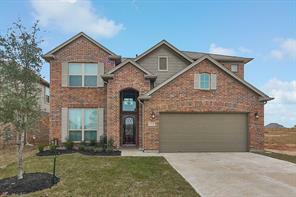 This 5-bedroom, 3.5-bathroom Beazer home boasts soaring 2-story ceilings in the foyer and living room, tile flooring in the common areas, gas fireplace, study with French doors, spacious game room, and backyard with an extended patio for outdoor entertaining. The chef’s kitchen is equipped with 42” cabinets, granite countertops, tile backsplash, breakfast bar, and gas cooktop. Unwind in the gorgeous master suite, which features a tray ceiling, oversized walk-in closet, dual vanities, a tub, and separate shower. This gated community offers 24-hour controlled access, recreation center with clubhouse, playgrounds, and SplashPad Texas complete with a pool, walking trails, basketball pavilion, tennis courts, and more. Nestled between I-45 and the Grand Parkway, with easy access to The Woodlands, Conroe, and Downtown Houston. Schools are zoned to the esteemed Conroe ISD. Don’t wait – call today! 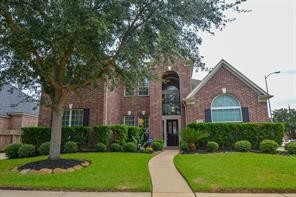 Come and see this lovely home in gated Estates at Cullen Park. On a quiet cul-de-sac and the home has never flooded. It features 5 bedrooms and 3 and 1/2 bathrooms. The master is down with large windows looking out to the pool. The roof is 3 years old. The garage has workshop space, too! The kitchen has been updated and features a water softener (sold separately). Two AC units, one is less than 1 year old. The washer, dryer and fridge stay! 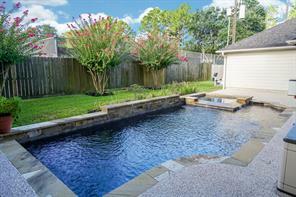 Sparkling pool in the back yard with plenty of room for pets and kids to play. This home is a must see in this highly sought after neighborhood with quick access to I10 and the Energy Corridor! 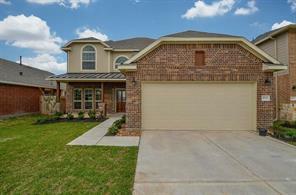 Wonderful brand NEW DR Horton home! Beautiful two story plan with 2 bedrooms down, useful study, great media room, and fun game room! Designer details at every corner of the interior with beautiful color selections and granite countertops in the island kitchen! 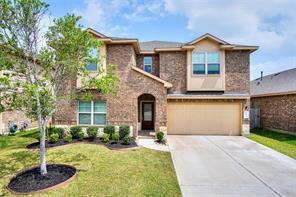 Features include stainless steel appliances by Frigidare, gorgeous hardwood flooring, stain resistant carpet, spa like master bath retreat, nice covered patio, landscape package, and so much more! 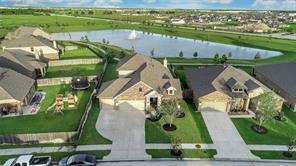 Ventana Lakes is a fantastic community that is zoned to Katy ISD and offers the best amenities for the residents! Hurry and call today! You do not want to miss this opportunity! 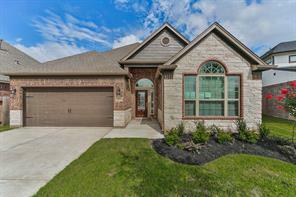 You won’t want to miss this gorgeous Briarwood Home in the desirable community of Morton Creek Ranch. Nestled on a spacious lot, this 4-sided brick property boasts a premium elevation, wrought iron spindles, tile flooring, crown and base molding, a fireplace with stone surround in the great room, study with French doors, and a covered patio for outdoor entertaining and leisure. Create culinary masterpieces in the chef’s kitchen, featuring a tile backsplash, stainless steel appliances, pendant lighting, and 42” cabinets. Commuters enjoy easy access to I-10 and the Grand Parkway. Enjoy nearby shopping, dining, and entertainment at Katy Mills Mall and LaCenterra at Cinco Ranch. Schools are zoned to the highly acclaimed Katy Independent School District. Arrange your showing today! 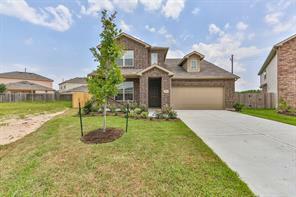 Wonderful brand NEW DR Horton home in the best location! Zoned to Katy ISD! Fantastic 2 story floor plan with two bedrooms down! Modern island kitchen with beautiful finishes, granite countertops, and stainless steel appliances by Frigidare! Useful study is also located on the first floor. Upstairs has a game room and media room! Ventana Lakes has wonderful amenities for the residents! Hurry and call TODAY! 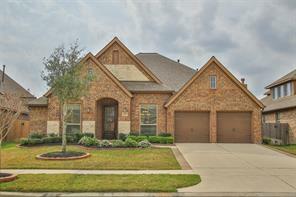 Beautiful 5 bedroom home in Morton Creek Ranch. Elegant Entryway with 2-story ceiling, opens to a large living floor plan. The Kitchen with custom cabinetry, gorgeous granite countertops and stainless steel appliances overlooks the bright Breakfast Room and large Family Room. The Dining Room conveniently connects to the Kitchen, the perfect floor plan for entertaining family and guests. Master Bedroom is located on the first floor, with an en-suite bathroom and walk in closets. 4 Bedrooms with Hollywood bathrooms, a Study, Media Room AND a Game Room are located on the second floor. The fully-fenced backyard has a covered porch, sparkling pool and spa. This home has it all! Make your appointment today. PRIME LOCATION in the heart of Katy with quick access to Hwy 99, Westpark Tollway and all the Downtown Houston has to offer! 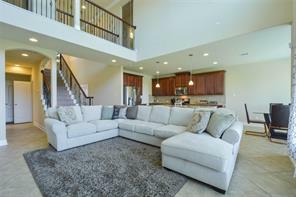 This GEHAN home offers 4 Bed, 2.5 Bath FULLY LOADED w/ features such as a SLEEK GRANITE ISLAND KITCHEN w/large dining area, breakfast bar, open family room w/ gas fireplace, high ceilings, & 3-CAR GARAGE! Spacious secondary bedrooms, LUXURY MASTER SUITE w/ dual vanities & separate shower/tub & Walk in Closet! RELAXING backyard with covered patio -- CALL TODAY!! PRIME LOCATION in the heart of Katy with quick access to Hwy 99, Westpark Tollway and all the Downtown Houston has to offer! 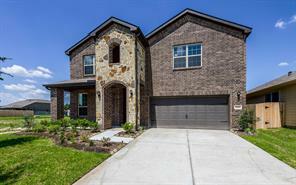 This GEHAN home offers 3 Bed, 2.5 Bath FULLY LOADED w/ features such as a SLEEK GRANITE ISLAND KITCHEN w/large dining area, breakfast bar, open family room w/ gas fireplace, high ceilings, & 2.5-CAR GARAGE! Spacious secondary bedrooms, LUXURY MASTER SUITE w/ dual vanities & walk-in closet and separate shower! Enjoy backyard bbq on your oversized patio...Call today to view! Wow! A big drop for a quick sale. Hurry and bring your clients to see this stunningly large home with 5 Bdrms, 4 Full-Baths, Island Kitchen, Stainless Steel Appliances, Spacious Master Suite w/luxurious Bathroom. Updated interior, Big closet spaces. 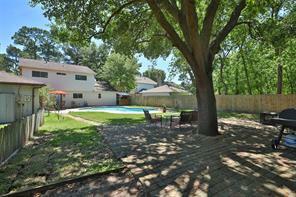 Nice Backyard w/Fruit Trees, Fish Pond, Covered Patio for outdoor entertainment, room for Pool & no backyard neighbors! 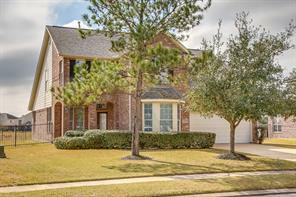 Great Schools: Katy ISD & Low Tax Rate, Subdivision biking/walking trail around beautiful lakes, Katy Mills Mall, Many Restaurants, Easy Access to Grand Parkway (99) & I-10. Never Flooded! 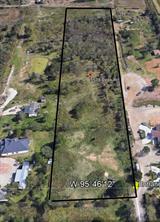 A Prime Premium 13,396' pie-shaped Lot located next to walking trail on greenbelt has No Back neighbors. 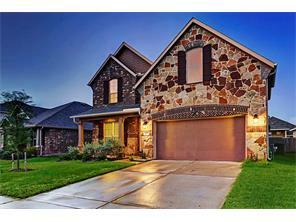 Gorgeous one story 4 bedroom, 2/1 bathroom home, w/3 car garage. Beautiful Stone & Brick elevation w/brick covered Entryway & Elongated covered patio in back. 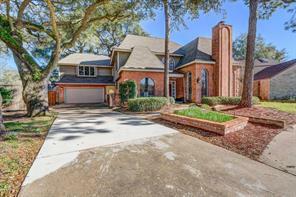 Upgraded Gourmet kitchen featuring Granite countertops/& Island open to family room. Stainless Steel appliances, 5-Burner Gas Cooktop. Stunning designer backsplash. Split floor plan. Large Master Suite-Master Bathroom offers separate frameless shower & soaking tub, tile flooring, double sinks & framed mirror. Vaulted ceilings, Ceiling fans, Alarm system, Sprinkler system. 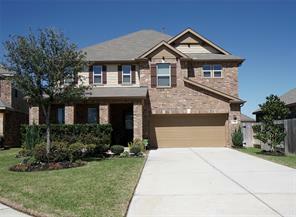 Enjoy easy access to Major roadways, Highly desired Katy ISD Schools, Shopping, & Entertainment. Dog park, Walking trails, Playground. Home never flooded. PRIME LOCATION in the heart of Katy with quick access to Hwy 99, Westpark Tollway and all that Downtown Houston has to offer! This GEHAN home has 4 beds, 3 baths, is FULLY LOADED -- SLEEK GRANITE ISLAND KITCHEN w/ breakfast nook, high ceilings & an open, spacious floor plan! GORGEOUS master suite w/ dual vanity bathroom, huge walk-in closet & separate tub and shower. Large covered patio - great for entertaining! Zoned to Katy ISD. Don't wait...call today & make the move. 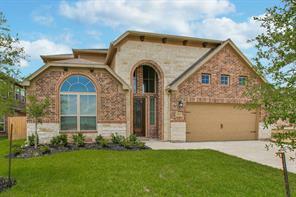 This gorgeous home in the community of Morton Creek Ranch South is a must see! Home features gas log fireplace, crown molding, and cultured marble countertops in all secondary baths. Bring out your inner chef in the kitchen with 42” cabinets, stainless steel appliances, and upgraded tile backsplash. Property also includes covered patio, Carriage House garage door, 5-zone irrigation system, and full gutters. Area amenities include family park complete with pool, miniature golf and walking trail. Just a short drive to premier shopping and dining, with easy access to I-10 and the Grand Parkway. Schools are zoned to the highly-acclaimed Katy ISD. Call today – this home is everything you’ve been searching for. 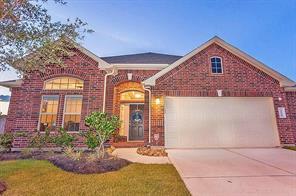 Create lasting memories in this elegant Briarwood home nestled in the quaint community of Morton Creek Ranch. This property boasts a gas log fireplace with cast stone surround, study with French doors, and carriage house garage. Dream up chef-inspired delicacies in the kitchen with 42” cabinets and stainless steel appliances. Home also includes wood framed mirrors and faux wood blinds. Area amenities feature a swimming pool with beach entry, splash pad, as well as a recreation center with separate picnic pavilion. 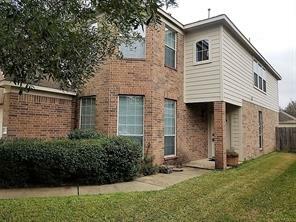 Located near Grand Parkway and I-10, with easy access to shopping and dining at Katy Mills Mall. Schools are zoned to the acclaimed Katy ISD. Discover the home of your dreams today! GORGEOUS HOME BUILT BY GREENECO ON A PREMIUM LOT. ALL BEDROOMS DOWN EXCEPT FOR 4 BEDROOM/MEDIA ROOM WITH FULL BATHROOM AND BALCONY WITH FRENCH DOORS. SPACIOUS MASTER CLOSE, MASTER BATHROOM WITH SEPARATED SHOWER, DOUBLE SINK WITH GRANITE COUNTER TOP AND WHIRLPOOL. 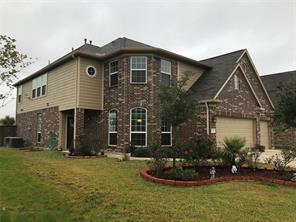 42" KITCHEN CABINETS, GRANITE COUNTER TOPS AND ISLAND KITCHEN,TILE, BACK SPLASH, TILE FLOOR IN ALL WET AREAS, FIREPLACE, SURROUND SOUND SYSTEM. GREAT SCHOOL DISTRICT. NEAR I-10 AND GRAND PARKWAY. 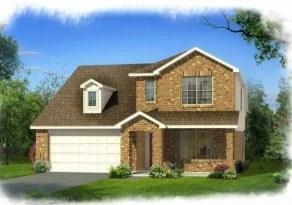 Gorgeous 2-story home with TWO BEDROOMS DOWN & a 3-CAR GARAGE! Awesome kitchen includes 42" cabinets, under cabinet lighting, stainless steel built-in appliances, granite countertops, butler pantry DOUBLE OVENS and a HUGE breakfast bar! Ceramic tile flooring throughout. 5" hand scraped wood floors in dining & study. Oversized mud set walk-in shower in master retreat! Full sprinkler system in front & back. Full gutters. 2" faux wood blinds. 5.1 Surround sound pre-wire in game room. THIS ONE YOU HAVE TO SEE!!! LOTS OF UPDATES!! BEAUTIFUL FLOORING! !IT HAS A CALIFORNIA CLOSET IN THE EXTRA ROOM. TOP OF THE LINE LIGHT FIXTURES!! PORCELAIN FLOORING IN MASTER ROOM AND CLOSET!! COVERED PATIO WITH CEILING FAN!!! UPGRADED CABINETS IN KITCHEN, AND UPGRADED LIGHT FIXTURES OVER THE ISLAND!! BEAUTIFUL FIRE PLACE MANTEL!! SPRINKLER SYSTEM IN FRONT AND BACK!! WILL LEAVE REFRIGERATOR , AND WASHER/DRYER!! GARAGE HAS SHELVES !! 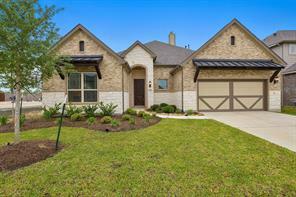 Come home to this beautiful Lake Ridge Builders home in the highly-sought community of Morton Creek Ranch South. This 4-sided brick property boasts a premium elevation, wrought iron spindles, tile flooring, a floored attic, faux wood blinds, and a covered patio for outdoor entertaining and leisure. Fall in love with the stunning kitchen, featuring granite countertops, designer tile backsplash, stainless steel appliances, and 42” cabinets. Unwind in the spa-like master suite, complete with high ceilings, a walk-in closet, dual vanities, tub, and separate shower. Commuters enjoy easy access to I-10 and the Grand Parkway. Delve into premier shopping, dining, and entertainment at Katy Mills Mall and LaCenterra at Cinco Ranch. Schools are zoned to the nationally recognized Katy Independent School District. This is the home of your dreams – call today! 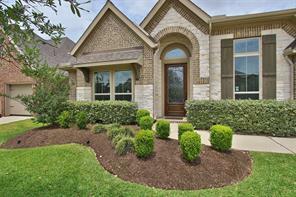 This gorgeous Lake Ridge Builders Home nestled on a spacious lot in Barkers Trail is a must-see. Property features 4 bedrooms, 2.5 bathrooms, a premium elevation, tile flooring, crown molding, gas log fireplace with tile hearth, metal balusters, Carriage House garage door, and full gutters. Create delicious cuisines in the kitchen equipped with 42” cabinets, granite countertops, upgraded tile backsplash, and stainless steel appliances. Relax in the master bathroom, where you’ll find dual vanities, a 42” tub, and separate shower. Enjoy outdoor entertaining on the covered patio. 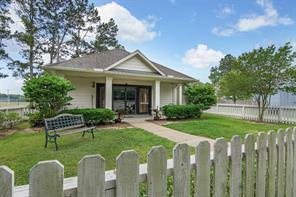 Just a short walk from Cullen Park, with 3-miles of walking/biking trails, picnic areas, and baseball/soccer fields. Ideal for commuters with easy access to I-10 Park and Ride Facilities. Schools are zoned to the highly-acclaimed Katy Independent School District. Call today – your dream home awaits. Gorgeous view of the lake with this brand NEW DR Horton one story! Charming curb appeal with designer details at every corner of the interior! Wonderful open floor plan with spacious bedrooms and living spaces! Features include wood flooring, built in stainless steel appliances by Frigidare, granite countertops, island kitchen, ceiling fans, tankless water heater, within walking distance to the community splash pad, close to all three schools, and so much more! Hurry and call today! You don't want to miss out on this opportunity and the beautiful view! 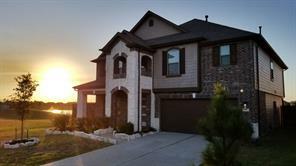 You’ll love this gorgeous Lake Ridge Builders home in the desirable neighborhood of Barkers Trail. This 4 bedroom, 2.5 bath property includes Roman doors, crown molding, Carriage House garage doors, and front gutters. Create chef-inspired cuisines in the kitchen with 42” espresso cabinetry, granite countertops, and upgrades stainless-steel appliances. Relish in the master suite with double sinks, 42” tub, and separate shower. Enjoy outdoor entertaining on the covered patio. Just a short walk from Cullen Park, with 3-miles of walking/biking trails, picnic areas, and baseball/soccer fields. Ideal for commuters with easy access to I-10 Park and Ride Facilities. Schools are zoned to the highly-acclaimed Katy ISD. Call today for showing! MOVE IN READY! Beautiful stone & brick home with no back neighbors! Hardwood flooring in entry continues throughout all first floor living spaces. Kitchen features upgraded stainless steel appliances, double ovens, granite countertops, designer backsplash & breakfast bar. Kitchen opens to the family room & formal dining room. Master suite on 1st floor with bay window, soaking tub, separate shower, double sinks & walk in closet. Two guest bedrooms also on 1st floor. Large gameroom, one guest bedroom upstairs. Extended patio in the backyard. Full sprinkler system. Oversized 2.5 car garage. Large backyard. 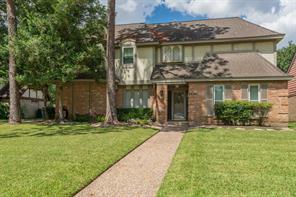 Located within walking distance to schools. This home has it all! 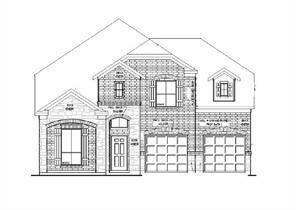 Sitting on a large, well placed lot, the exterior features are the first thing you notice: beautiful brickwork, lush landscaping, an oak front door with inlaid glass and a 3-car garage & over-sized driveway. Once inside, you'll find something for everyone: a study with French Doors, a formal dining room, a gourmet kitchen complete with breakfast room and a breakfast bar. The kitchen is open to the 2-story living room which is flanked by a wall of windows that stream natural light and on the opposite wall, a gorgeous brick fireplace with cedar mantle. The 1st floor master bedroom suite has a vaulted ceiling & wonderful window seat & the adjoining bathroom provides a serene space to relax in the soaking tub. 3 large bedrooms are upstairs, but the real star of the show is the media room plus game room where family & friends gather for movie or game night. A covered patio, roughed for outdoor kitchen & large backyard with hidden shed finish out this fabulous home! 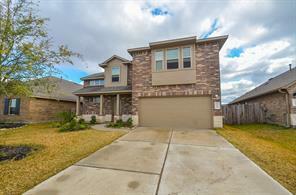 You'll love this beautiful 2-story home located just six blocks from Ursula Stephens Elementary of Katy ISD. This home is 3729 square feet, 6 bedrooms, 4 bathrooms, 2 car garage, has been completely renovated. With luxury Lawson 50 yr warranty laminate floors, new carpet, and fresh Agreeable Grey paint throughout the entire home. The kitchen showcases new tile, new quartz level 6 countertops, stainless steel under mount sink, new garbage disposal, and new GE stainless steel appliances. The master bathroom has a serene feel with new tile floor, new shower tile to the ceiling, vessel sinks and granite countertops. Each bathroom has granite countertops and was made more efficient with new WaterSense dual flush toilets. Staying with the same level of energy efficiency through the home, each room has new brushed nickel light fixtures with LED lights. Last but not least a new Nest Thermostat to keep your home energy efficient year around. Why are you still reading this?? CALL NOW! Proudly introducing HistoryMaker Homes to the Houston community. With over 70 years of experience building homes in the Dallas/Ft Worth area, this family owned company has provided More Home for Less Money for thousands of families. 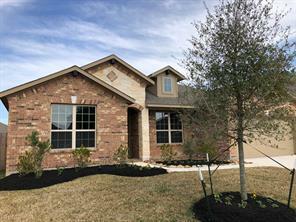 The Lakes at Mason Park community is conveniently located near both The Grand Parkway and I-10 making the drive to the Katy Mills Mall a breeze. Students attend highly acclaimed Katy ISD schools, residents enjoy the resort-style pool and fitness center, and it boasts one of the areas lowest tax rates. This beautiful family home boasts 4-bedrooms, 3.5-bathrooms, a private study, large gameroom and an extended covered patio! The home chef will love the island kitchen with stainless-steel appliances, granite countertops, and walk-in corner pantry. The master features dual sinks, a garden tub w/separate shower and a large walk-in closet. The fully fenced backyard is the perfect place for children and pets to play. Don’t miss this wonderful opportunity. Welcome, Home!. 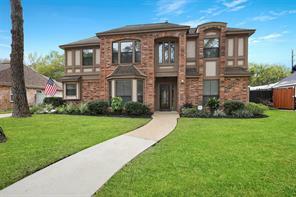 This immaculate property is located in the prestigious community of Katy Oaks and it has access to a private gated dog park, kids playground, exclusive access to the beautiful Mason Creek Bike & Ride with connection to the Katy Park, and less than a mile from the new Katy Elementary 52. This home will make you fall in love. Designed with an open concept the elegant kitchen with quartz bright countertops and the oversized family room will help you entertain your friends and family for an unforgettable time. Double ovens for the culinary gifted and a kitchen island to show off your creations. Oversized rooms throughout the house and backyard make it the perfect entertaining home. Bring All offers! 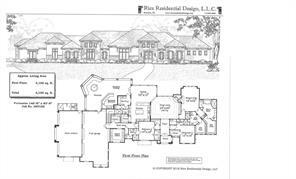 Unbelievable floor plan over 4,000 square ft. that features up to 7 bedroom in a well plan subdivision. The master bedroom is on the first floor with and additional bedroom near the front of the house that could easily be an office. There are an additional 5 bedrooms and a very large up-stairs den that currently hose a very large pool table. 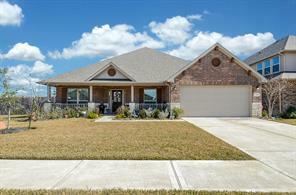 The home has gorgeous laminate floor is all bedrooms and beautiful tile floors located in the kitchen and den. The home is very open and airy with high ceilings and it also features an open kitchen with beautiful granite counter tops with black appliances. This is one of the largest homes in the area on one of the largest lots in the subdivision. This property was never damaged by Harvey's Flood. This is a must see and it is the lowest priced home per square feet, that is currently available for immediate sale. This property was never flooded by Harvey. 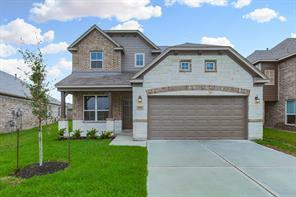 Wonderful brand NEW DR Horton home located within Katy ISD! 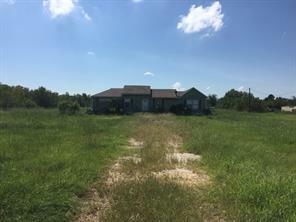 Amazing one story property with everything you have been looking for! Charming curb appeal, fantastic floor plan, open and bright living spaces, designer details at every corner, stainless steel appliances by Frigidare, granite countertops, lovely master suite, and the list goes on! Ventana Lakes is in a great spot and offers the best amenities to the residents! Resort style pool, club house, and fun parks just to name a few! Hurry and call today! You do not want to miss this opportunity! This lovely 6 bed/ 3.5 bath/ 3 car garage home offers a grand foyer with high ceilings, an elegant flow for entertaining, exquisite formals, spacious kitchen, breakfast area, and beautifully proportioned rooms. The upstairs floor plan is very versatile with 5 beds, 2 Jack and Jill baths, and a gameroom. Gracious 1st floor master suite was designed to create a large master bath/shower with his and her closets. This is a must see home. You will not want to miss this amazing home located on a cul-de-sac! Gorgeous home nestled in the heart of Williamsburg Settlement with an over-sized backyard and sparkling pool area. Upgraded gourmet kitchen with custom built dark wood cabinetry, granite counters and stainless appliances. Huge bonus room with bar area that opens up to the backyard entertainment area. 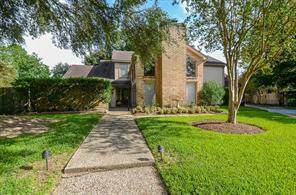 Beautiful wood-like tile floors, new front door, updated master bathroom, beautiful barn doors, double paned windows on the back of the house, game room with study nook, 2.5 car garage, roof replaced in 2009, and HVAC replaced in 2016. You will not be disappointed. Hurry, this one won't last! Come check out this stunning, 6 bedroom DR Horton home in the beautiful community of Ventana Lakes! It’s immaculate interior is one you don’t want to miss. The open-concept living and kitchen is great for gatherings and entertaining. The kitchen features lots of 42'' cabinets, granite counters with tons of space, and a HUGE island with room for seating! The spacious master bedroom is located at the back of the home just off the living room and features a large walk-in master closet. Upstairs has 5 large bedrooms that have never been occupied and have oversized closets, 2 spacious bathrooms, a large gameroom and a media room with closet! One thing this house isn’t lacking is STORAGE! The backyard has a covered back patio that offers shade for relaxing after a long days work. All 3 school are located within walking distance! Delightful home overflowing with charm, spacious living spaces, exquisite fixtures and details nestled in the quaint newly constructed neighborhood of Raintree Village. Entertaining and great daily living is a breeze with the large open 1st floor living/kitchen/dining space, 2nd floor game room / loft with separate media room (or potential guest quarters). 3BRs/2BAs upstairs; office down just off front door entry. Alluring master suite with adjoining spa-like master bath equipped with large soaking tub, walk-in shower (with built-in bench) and 2 separate vanities. Enjoy tons of outdoor fun in your private backyard or a nice a relaxing lounge on your front or backyard porch. Don't wait...schedule your showing today! Sellers built home with alot of upgrades! 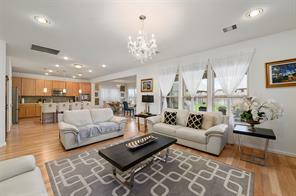 Immaculate & spacious home located on a culdesac street in Ventana Lakes. Study w/ privacy doors, tiled entry leads you to the large kitchen & family room area. Master suite will accommodate large pieces of furniture. Wrought iron spindle staircase leads you to the large gameroom & 3 very good sized bedrooms w/ nice closet space. 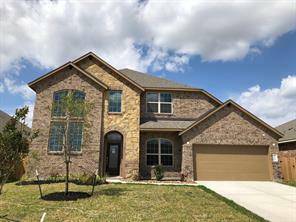 This home has alot of natural light & is a well thought out floorplan. You will enjoy entertaining friends & family on the Screened Patio & a pool size backyard. Home is ready for immediate move in! Paetow High School & Bethke Elem. are in Ventana Lakes! Minutes to The Grand Parkway (99) & I-10. There is alot of growth in the area providing grocery stores, shopping & restaurants. WOW! Living is easy in this impressive generously spacious home with a great location. The open floor plan encompasses 7 bedrooms and plenty of room for study, sleep and storage. 5 FULL bathrooms. Large gourmet Kitchen with Granite counters including island and breakfast bar which open to expansive Living Room. Master bedroom, complete with oversized closet and ensuite, ensures parents have a private space. Guests or In-Laws can enjoy a cozy downstairs bedroom with full bath. Also includes secluded office with French doors. Owner willing to include Pool Table, Gym Equipment, and Fridge!!! :) A perfect home to entertain the whole family. 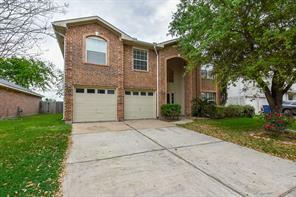 This remarkable Lakewood home situated on a spacious lot in Morton Creek Ranch is just what you have been looking for. Achieve your very own culinary creations in the kitchen, complete with 42” cabinets, upgraded stainless steel appliances, and granite countertops. Other distinguishing features include wrought iron balusters, a spacious covered patio, full gutters, and a 5-zone irrigation system. Community amenities include a swimming pool with beach entry, splash pad, playground, and recreation center. Enjoy access to some of the best shopping, dining, and entertainment that Houston has to offer at Katy Mills Mall and LaCenterra at Cinco Ranch. 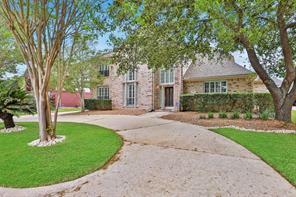 This home’s location near I-10 and the Grand Parkway grants easy travel around the greater Houston area. Students attend the highly acclaimed Katy Independent School District. Call to schedule your private showing today! 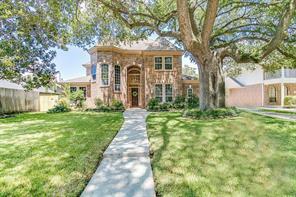 There’s so much to love about this stunning Lakewood home in the Morton Creek Ranch community. Situated on a spacious lot, this 4-bedroom, 3.5-bathroom property boasts a game room and a walk-in closet with hidden shelving in the master suite. Bring out your inner chef in the kitchen, which features 42” cabinets, granite countertops, and upgraded stainless steel appliances. Relax under the shade of the covered patio, perfect for any occasion. Community amenities include a swimming pool with beach entry, splash pad, playground, and recreation center. Enjoy access to some of the best shopping, dining, and entertainment that Houston has to offer at the Katy Mills Mall and LaCenterra at Cinco Ranch. Ideal location near the Grand Parkway and I-10 provides for easy access to the greater Houston area. Schools are zoned to the highly acclaimed Katy ISD. Call today – your dream home awaits! EXQUISITE GEM OF A HOME IN DESIRABLE BARKERS RIDGE*BEAUTIFULLY UPDATED WITH CABINETS, FLOORING, COUNTERTOPS & FIXTURES*UNFINISHED BONUS ROOM ABOVE GARAGE*DEN DOUBLES AS MEDIA ROOM WITH BLACK-OUT CURTAINS, CEILING WITH SOUND-ABSORBING SILK, & BUILT-INS FOR STEREO COMPONENTS & SPEAKERS*LARGE GAMEROOM OVERLOOKING GREENBELT INCLUDES BAR & SINK*FURNACE & A/C (16 SEER PER SELLER) REPLACED 2018*ROOF REPLACED 2017*GOURMET KITCHEN BOASTS GRANITE, PRETTY BACKSPLASH & WINE FRIDGE*DOUBLE-PANE WINDOWS*WORKBENCH IN LARGE STORAGE CLOSET IN GARAGE*CRAFT/STUDY NOOK UPSTAIRS*VERY ACTIVE HOA*NEIGHBORHOOD SWIM TEAM*NEIGHBORHOOD POOL IS OLYMPIC-SIZE*EASY ACCESS TO ENERGY CORRIDOR*HOME BACKS TO LIGHTED WALKING/BIKING TRAIL THAT CONNECTS TO CULLEN PARK*PUT THIS ELEGANT HOME ON YOUR MUST-SEE LIST!!! STUNNING WATERFRONT HOME!!! Come home to Master-Planned living at Ventana Lakes!!! Community amenities include clubhouse, swimming pool, outdoor covered picnic areas, playground and trails! 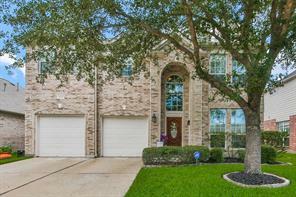 Zoned to highly acclaimed KATY ISD -- All schools, elementary, middle & high school are located WITHIN the community! This 4 bedroom, 3.5 bath features OPEN family room with gas fireplace, GOURMET granite kitchen with breakfast bar, tile backsplash and stainless steel appliances!! PRIVATE master retreat with dual vanities, separate tub+shower and WALK-IN closet!! UPSTAIRS game room, spacious secondary bedrooms, formal dining & STUDY!! RELAXING waterfront backyard with covered patio -- PERFECT for entertaining!! 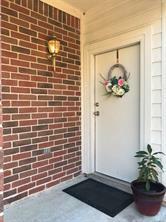 Front porch with GORGEOUS stone elevation, sprinkler system, alarm system and SO much more! MAKE THE MOVE TODAY!! 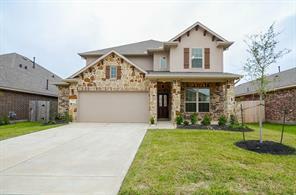 Lovely brand NEW DR Horton home in the best location! This charming one story has everything you are looking for! 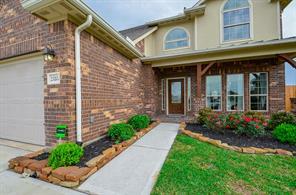 Wonderful curb appeal with a beautiful brick selection on all sides of the home! Hardwood flooring, granite countertops, stainless steel appliances by Frigidare, DuPure water filtration system, tank less water heater, and the list goes on! 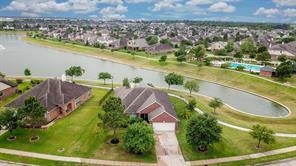 Ventana Lakes is in a great spot and great community amenities! Fun parks, sparkling pool, clubhouse, and so much more! Hurry and call today! This property will sell fast! 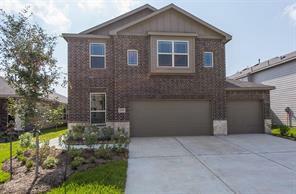 Wonderful newer construction (2015) built by Lennar Homes on a corner lot, located in popular Raintree Village. Game Room plus a Media Room upstairs! Chef's Kitchen w/ granite countertop, large island, 36'' designer cabinets w/under lighting, & stainless appliances, pantry closet. Breakfast space. Formal Dining. 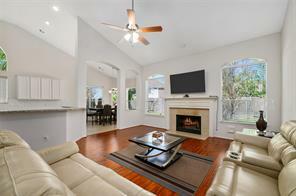 Family Room adjacent to kitchen; ideal open floor plan for entertaining friends & family. Spacious Master Bedroom located downstairs. Luxurious Master Bath w/ dual sinks, oversized tub & separate shower, huge walk-in closet. One guest bedroom located downstairs w/ full bath, makes a great study. Two additional guest bedrooms located upstairs, with Jack & Jill bath. Radiant barrier roofing, 16 SEER HVAC. Huge fenced backyard with covered patio. window blinds, ceiling fans, crown molding throughout. Community features tennis courts, clubhouse, 2 playgrounds, pool, and a future splash pad. 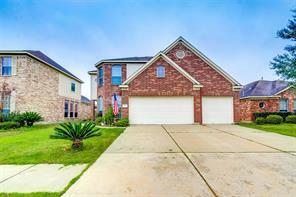 Great location in Katy north with easy access to major freeways. A must see! When you’re ready for the quiet, relaxed lifestyle of Katy, find it here in the family-friendly community of Morton Creek Ranch. Situated on a spacious lot, this 4-sided brick home boasts a premium elevation, tile flooring, a fireplace with stone surround in the great room, and a covered patio for outdoor entertaining and leisure. Fall in love with the beautiful kitchen, boasting granite countertops, designer tile backsplash, stainless steel appliances, and pendant lighting. Commuters love the proximity to I-10 and the Grand Parkway. Delve into premier shopping, dining, and entertainment at Katy Mills Mall and LaCenterra at Cinco Ranch. Students attend the nationally recognized Katy Independent School District. Call today for more information! 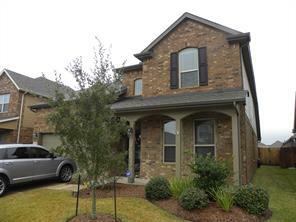 This huge 2 story home with 4 bedrooms, 2.5 baths is located in the heart of Katy Oaks. It offers a split floor plan upstairs and open concept downstairs. Perfect for entertaining. Kitchen with double oven great for gatherings and lots of cabinet space. Game room upstairs plus huge master bedroom with a master bath that offers double sinks, separate tub & shower. Laundry room centrally located for convenience in the second floor. Some of upgrades include covered back porch, shed and epoxy coated garage floor. The backyard is big enough for a pool. Highly desired Katy ISD Schools. Dog park, playground, walking trails. Home never flooded. IMMEDIATE MOVE-IN! 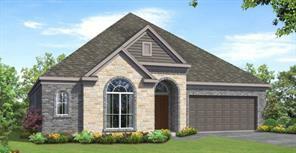 Rutland 2-Story 2557 sqft Elevation C w/Stone. 3 Bedrooms-Study-Gameroom-2.5 Baths. Owners Retreat Upstairs. 42'' Kitchen Cabinets, Granite Countertops, Tile Backsplash. Tile Floors in the Family room, Dining, Study and Wet Areas. Covered Patio & Blinds. GreenEco Builders has 16 Seer HVAC. Verify estimated room dimensions, programs, HOA info & all features with on-site sales as details are subject to change. 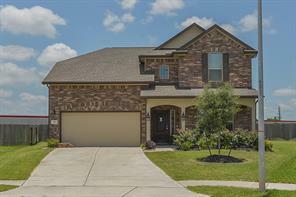 This impeccable 2015 Beazer home is waiting for you to call it home! You will be impressed with the decorator choices and the MANY upgrade choices. Soaring ceilings, hardwood floors, level 5 granite, custom cabinet features, storage, storage, storage.... all in this highly energy efficient home! Beazer made TOP OF THE LINE choices when building this home! 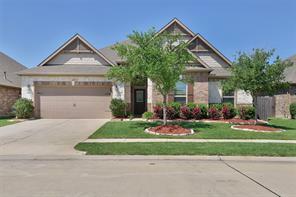 4 spacious bedrooms, 2.5 baths with Gameroom/media room on a large corner lot in a great subdivision! Decorator colors throughout. This lightly lived in home feels new and fresh. You will think this was THE model home for Beazer, it is truly AMAZING. Call your REALTOR today to get a full list of upgrades in this incredible home and make your appointment for a private tour. 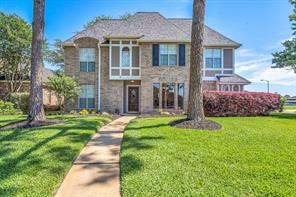 You’ll fall in love with this beautiful 2-story home in the family-friendly community of Creek Bend Estates. Property features a spacious floor plan with updated flooring, fresh paint, upgraded fixtures, gas log fireplace, and a recently replaced roof. Create chef-inspired cuisines in the island kitchen equipped with granite countertops, a gas range, corner pantry, and breakfast bar. Enjoy evenings of pampering and relaxation in the master suite with a walk-in closet, dual vanities, garden tub, and separate shower. The backyard includes a covered patio for outdoor entertaining and storage shed. 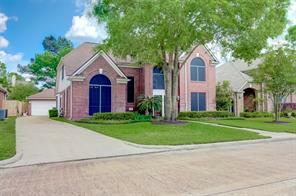 Well-situated with easy access to major roadways, including the Grand Parkway, I-10, and Highway 6. Students attend the highly acclaimed Katy Independent School District. Call today to schedule your showing! BUY THIS HOME ZERO DOWN, NO PAYMTS FOR 3 MOS. 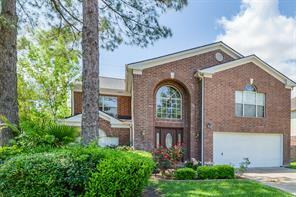 (*) AWESOME, 4 Bedrm-3BA Family Home Located in Exclusive Neighborhood on Premium Lot w/ LAKE VIEWS! Beautiful Home features Bright & Open Floor Plan, NEW Wood-Plank Ceramic Floors, Custom Wrought Iron Staircase w/ Dramatic Views, Quiet Study w/ Built-Ins! Gourmet Kitchen offers Beautiful Cabinetry, Gleaming Granite, Large Island w/ Built-In Seating, Stainless Steel Appliances & Open Views to Breakfast Area & Cozy Den w/ Angled Ceilings, Warm Brick Fireplace-Relaxing Setting Within a Magnificent Decor! ****Don't Get Stuck Owning Two Homes, BUY THIS HOME, I WILL BUY YOURS! ****(*) Elegant Master Suite boasts Relaxing Jetted Tub, Spacious CUSTOM-Built Walk-In Closet, Dual Vanities & Private Dressing Area. Comfy Game Room Upstairs plus Roomy Secondary Bedrooms. Enjoy Peaceful Lake Front Lot w/ BONUS-Sized Covered Patio w/ Outdoor Kitchen,Surround Sound/Cable! (*)Some Restrictions apply.OPEN HOUSE DAILY,CALL FOR SHOWING TIMES. 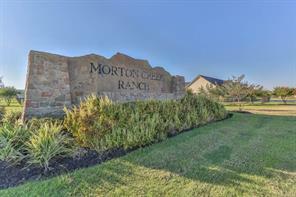 Settle down in the highly-sought community of Morton Creek Ranch. Situated on a spacious lot, this 4-sided brick Lakewood Builders home boasts a premium elevation, tile flooring, faux wood blinds, and a study with French doors. The chef in your family will love the island kitchen, featuring granite countertops, designer tile backsplash, stainless steel appliances, and 42” cabinets. The lavish master suite comes complete with dual walk-in closets, dual vanities, a tub, and separate shower. Enjoy easy access to I-10 and the Grand Parkway. Premier shopping, dining, and entertainment at Katy Mills Mall and LaCenterra at Cinco Ranch is just a short drive away! Students attend the nationally recognized Katy Independent School District. 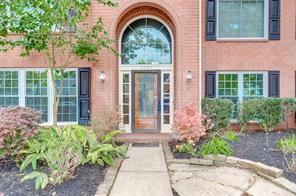 You don’t want to miss this home – call today! 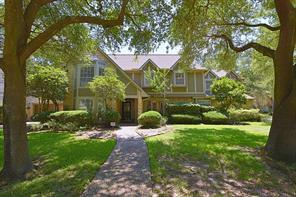 Lovely home nestled on wooded corner lot in well established Williamsburg Settlement in Katy. Large driveway space makes a perfect basketball or play area, could make a larger garage! Entry leads to front dining room w/floor to ceiling windows & cathedral ceilings in the two-story living area. Hardwood & tile flooring throughout downstairs & upstairs a plus. Recent updated kitchen w/custom cabinets, granite,stainless oven/microwave. Dining/breakfast opens to kitchen w/views of the wooded backyard. Master bedroom downstairs w/updated master shower. Upstairs hardwoods in the upstairs gameroom & three additional bedrooms. Wetbar space in gameroom. New roof in 2016. Home plumbing Duraflo was complete in 2005. Area pool, play area and elementary walking distance from home. Oversized 2 car. Easy access to 1-10 & 99 tollway. 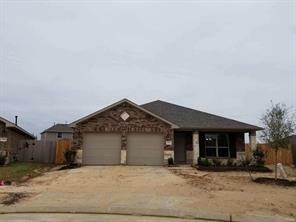 Wonderful warm and cozy brand NEW DR Horton home with a lake view! This amazing property has everything you are looking for! 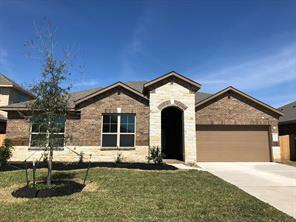 Charming curb appeal, open and spacious floor plan, beautiful designer details at every corner of the interior, granite countertops in the island kitchen, stainless steel appliances by Frigidare, gorgeous wood flooring, covered patio to enjoy the lake view, and the list goes on! Hurry and call today! You do not want to miss this one! IMMEDIATE MOVE-IN!! 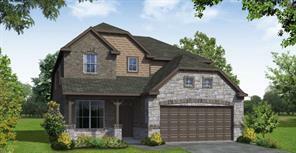 Durham 2-Story 2608 sqft-Elevation C. 4 Bedrooms-Gameroom-Loft-2.5 baths. Master Suite Down. Kitchen with 42" Cabinets, Granite Countertop, Tile Backsplash & Stainless Appliances. Tile Floors in Family, Dining & Wet Areas. Fireplace, HomePro Wiring, Structured Wiring Package with Speakers & Covered Patio. GreenEco has 16 Seer HVAC. All features, dimensions, pricing & incentives are approximate and should be independently verified by buyer as details are subject to change. 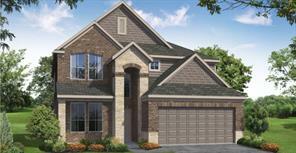 Proudly introducing HistoryMaker Homes to the Houston community. With over 70 years of experience building homes in the Dallas/Ft Worth area, this family owned company has provided More Home for Less Money for thousands of families. 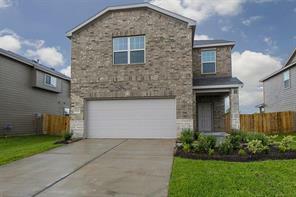 The Lakes at Mason Park community is conveniently located near both The Grand Parkway and I-10 making the drive to the Katy Mills Mall a breeze. Students attend highly acclaimed Katy ISD schools, residents enjoy the resort-style pool and fitness center, and it boasts one of the areas lowest tax rates. This 2-story home boasts 4-bedrooms, 3-bathrooms, a large gameroom that is perfect for family activities, and a covered back patio. The master bedroom is in the rear corner of the home for maximum privacy and the best views to the fully fenced backyard. The home chef will love the island kitchen that boasts granite countertops, stainless-steel appliances and a large walk-in pantry. The sunny casual dining area even offers a box window for extra seating! Find the home of your dreams in the quiet community of Barkers Trail. 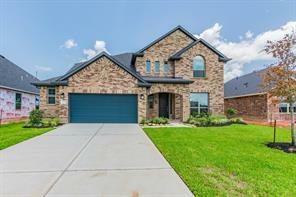 Nestled on a spacious lot, this beautiful Lake Ridge Builder’s home features a premium elevation, wrought iron spindles, base and crown molding throughout, study with French doors, and a covered patio for outdoor entertaining and leisure. The chef in your family will love the chef’s kitchen, featuring granite countertops, glass backsplash, and stainless steel appliances. Unwind in the spa-like master bathroom, which features dual vanities, a 42” tub, and separate shower. Enjoy family time outdoors at Cullen Park, which features 3-miles of walking/biking trails, picnic areas, and sports fields. Commuters enjoy easy access to I-10 and the Park and Ride Facilities. Schools are zoned to the highly acclaimed Katy Independent School District. Call today to book your private showing. 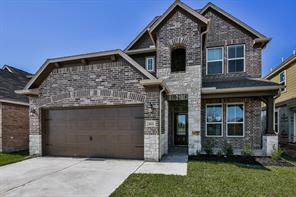 Fantastic brand NEW 2-story DR Horton home with 18' soaring ceilings in the family room open to below! Granite in kitchen with stainless steel Frigidaire appliances! Beautiful 42" cabinetry including butler's pantry! Ceramic tile flooring throughout. Energy efficient tank less water heater, ceiling fans in all bedrooms, alarm system, DuPure drinking water filtration system, and so much more! Ventana Lakes is in a wonderful location and offers a community pool and clubhouse! Call today to make your appointment to check out this amazing brand new property! Hurry in because it will sell quickly! STOP THE CAR!!! The finest home in all of Williamsburg Settlement is on the market and it has a POOL!!! The beautiful updates this gem has to offer start with the sprawling majestic hardwoods and finishes with an unbelievable home renovation. Featuring over 2 decades of meticulous maintenance and care this beauty boast an updated kitchen with granite counters, new cabinets, stainless steel appliances and that is just in the kitchen. The master suite and master closet are a site to see!! The seller renovated the home creating a new master suite and a third car garage with a work shop. The master closet is now where the old master suite was creating more closet space than you could ever dream of!!! Did I mention the master suit is located downstairs?! The other three bedrooms and game room are located upstairs. Offering fresh paint and meticulous maintenance this home also provides a spectacular location with a quick access to I-10 and 99. 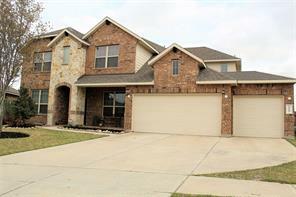 Situated in KISD this one has it all!!! This is a true 6 Bedroom from Postwood Builder - Floor plan #368 with 3 Car Garage upgrade. All floor coverings NEW, both Carpet & Ceramic tile throughout home. New paint tastefully throughout entire home. Every room, every closet. the entire home professionally painted. No crazy colors to fix! New Granite Counter Tops,with Oversize Deep Sink. New Samsung Gas Range & Dishwasher & Microwave. New Comfort Height Elongated toilets in the 3 full Bathrooms and also in Powder Room. New light fixtures in Dining, Breakfast Nook and Staircase, Master Bath and Power Room. New 60 inch Ceiling Fan in Living Room. New 52 inch Ceiling Fans in Master Bedroom & 2nd Level Game Room. Floor Plan #368 - Master down, 5 bedrooms upstairs. 2 Bedrooms share a Jack & Jill full bathroom. Large laundry room upstairs ready for Gas or Electric Clothes Dryer. Energy Savings LED bulbs throughout entire house. 2 inch Faux Wood Blinds throughout entire home. Upgraded Banister/Baluster Staircase. Welcome Home this beautiful 7 bedroom with 5 full bathrooms is ready to move in. This home offers engineered wood and travertine tile flooring. Gourmet kitchen with granite counter tops an island and breakfast bar with an open concept as well as a cozy fire place. Master down stairs with a very spacious walk in closet. Second room down stairs with a full bathroom offers a private space for your guest. Large game room upstairs with ample space throughout the home. 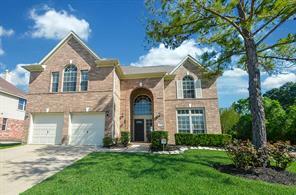 Amazing five bedrooms home with 3 and a half bathrooms in Ventana Lakes. Enjoy the tranquility of living in Katy without the traffic and still be 5 minutes from 99 and about 10 minutes from I-10. Solid construction from one of this countries best builders, D.R. Horton. 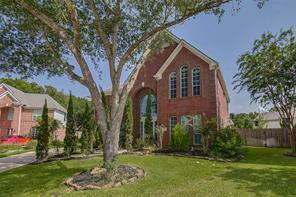 Beautiful 5 bedroom home with a large game room upstairs. The home is full of windows filling house with beautiful natural light. Granite counter tops with an island in the Kitchen, breakfast bar and a breakfast area with tons of cabinets and storage. Lovely large formal Dining. All appliances stay including washer & dryer. 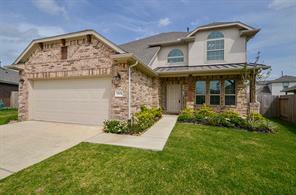 Walking distance to the Middle School, High school & Cullen Park. Very low utility bills. Electric bill did not go over $250 even in the summer. 9' ceilings with dining room open to 2nd floor. Friendly neighbors & quiet subdivision. One of the largest houses in the neighborhood. Traditional two story in Williamsburg Settlement! Gorgeous home with custom millwork, fixtures and finishes throughout! Please see attached features list for details. 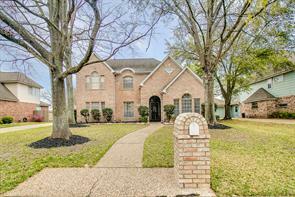 All brick elevation on large lot with detached two car garage and No Back Neighbors! Lovely plan with premium surfaces, formal dining, and a living area with gas fireplace. Luxury kitchen with brick tile flooring, custom banquette, upgraded black pearl granite counters and 8' island with gas cooktop. The stainless steel appliance package will stay with home. Magnificent Owner’s retreat with private bath featuring granite, travertine and updated fixtures. Jetted tub with separate shower. Large game room and secondary bedrooms upstairs. Converted 15 X 14 bonus room behind the garage with A/C, fridge and full bath. Fully irrigated backyard with storage shed, outdoor fireplace and bar. All will stay. Make an appointment today to tour this wonderful neighborhood and special home! UPGRADES GALORE one of the NEWEST homes in the neighborhood built in 1996! 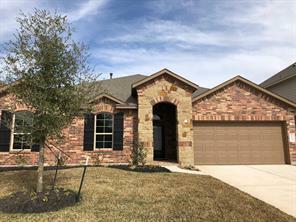 Owners have updated this beautiful home with hardwood floors, recent carpet, modern lighting, ceiling fans, deluxe fireplace mantle, recent designer paint both inside and out, garage door replaced 2018, and wonderful kitchen featuring island, white shaker cabinets, high-end finishes and much more! All bathrooms recently updated. 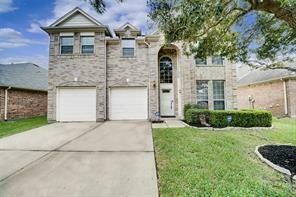 Located on a mature tree lined large corner lot within a very short walking distance of award winning Katy ISD, Diane Winborn Elementary School. LOW TAXES! Great location to nearby neighborhood amenities which include area pool, parks, and tennis courts. 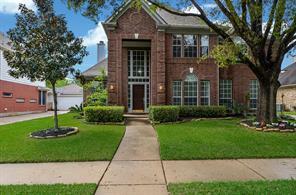 Close to major roads, shopping, and easy access to Houston's "Energy Corridor". This home has all of the charm of an established neighborhood with all the most desirable and current finishes! Swing Set and storage shed in back yard will remain for your families enjoyment. This home has NEVER FLOODED! 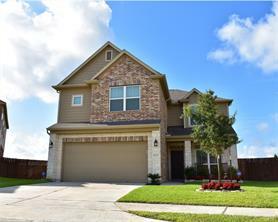 Welcome to this amazing 2 story home in Katy's Williamsburg Settlement subdivision! Lovely POOL and SPA in back yard with huge patio! This 2,812 sq. 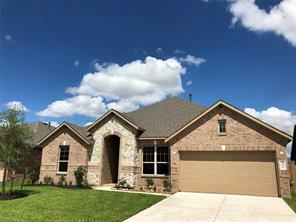 ft. home includes 4 bedrooms - 3 BEDROOMS DOWN and 1 upstairs, 3 full baths, study with double doors, large living room and a den upstairs! Kitchen has stainless steel appliances and lots of cabinets and counter space! Breakfast bar between kitchen and living room, great home for entertaining! Spacious master suite with garden tub, extra-long driveway leading to 2 car detached garage and gorgeous landscaping! Enjoy the short walk to the neighborhood tennis courts and swimming pool directly behind this home! This home is a must see! The open floor plan encompasses Five spacious bedrooms with plenty of room for study, sleep and storage, three and a half luxurious bathrooms, and a sleek and stylish gourmet kitchen that flows through to the dining room.The master bedroom, complete with walk-in closet and ensuite, ensures parents have a private space where they can enjoy plenty of privacy.Enjoy gatherings in the generously-sized living & dining area graced by a fireplace, huge windows, heading out to the rear deck.The generous living space and stylish finishes, you'll enjoy a perfect setting for relaxing and entertaining.You'll also love the convenience of a great neighborhood near it all with the great shopping and restaurants minutes away. Situated on a corner cul de sac lot, this home is ready for its new family. Stop by and see this home today. Only minutes away from Grand Parkway or I 10. MLS# 42628140 - Built by History Maker Homes. CONST. 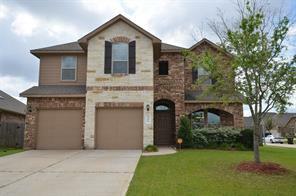 COMPLETED Aug 03 ~ Beautiful 2 story with a 4 bedroom with master bedroom down and study. Gourmet kitchen with granite counter tops and 42 inch cabinets. Sep shower in tub with double sinks in master bathroom. Spacious game room up.. 4 full baths and one half bath for guest. 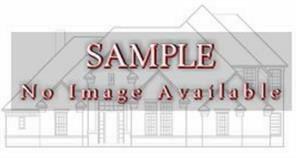 MLS# 65742882 - Built by History Maker Homes - CONST. 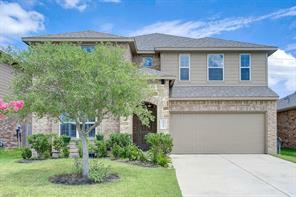 COMPLETED Jul 13 ~ Beautiful 2 story with a 4 bedroom with master bedroom down and study. Gourmet kitchen with granite counter tops and 42 inch cabinets. Sep shower in tub with double sinks in master bathroom. Spacious game room up.. 3 full baths and one half bath for guest. 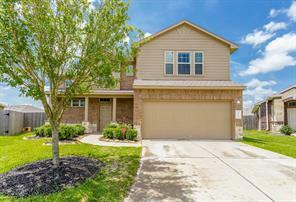 **Brand new AC installed on 8/22/18** Beautiful two-story home on cul-de-sac lot with three-car garage and large backyard! Tile entry, formal dining room, and open living room with gas fireplace. Upgraded plantation shutters in living room, master bedroom and breakfast area which allow lots of natural light! LED light bulbs throughout most of the house which provide for lower electricity bills. The kitchen features granite counter tops with energy efficient stainless steel appliances. Large master suite downstairs with his and her sinks, jacuzzi tub and separate closets. Upstairs features three generously sized bedrooms and an open loft which overlooks the living room. The backyard is over sized and is the perfect place for kids and pets to play! Enjoy the evenings by the handmade limestone fire pit and allow the summer breeze to come through the rear pass-through garage door. Close proximity to I-10 and Grand Parkway! Did not flood during Harvey. 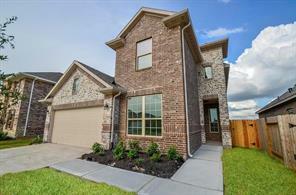 Once Upon a Time in a Land Called North Katy You'll Find a Home Ready for it's New Family! Come See This Huge 6 Bedroom +Gameroom, 3.5 Bath Castle & You'll Feel the Love & Fun that's been Had Here! This Owner Added $25K in Upgrades which Include: Awesome Master Bath w/C Tile, Granite, 2 Benches, Walk-in Shower (9'X 3'4") 3 Shower Heads & 9' Glass Enclosure! Downstairs Floors upgraded w/16" C Tiles in Breakfast Rm, Kitchen, Dining Rm, Powder Rm & Bottom of Stairs Foyer & Hardwood Floors in Family Room! Front Steel Door & Frame, Insulated Garage Door, 4 Commodes & Custom Work Bench in Garage also added. You Choose Your New Carpet in Master Bedroom & Upstairs! Tons of closet/Storage Space! Crown Molding! 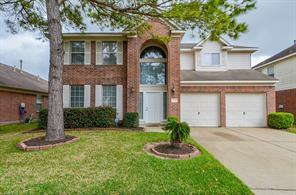 Master & 1.5 Baths Down, 5 BR's, 2 Baths, Gameroom & Huge Laundry Rm Up! Come Visit & See! Easy Access to I10 & 99! Close to the New Katy Asian Center & Legacy Stadium! Now Zoned to New 2017 Paetow High & New 2016 Stockdick Jr High! Katy ISD Schools! Lower Katy Tax Rate! Did Not Flood! Beautiful one story home in Ventana Lakes. 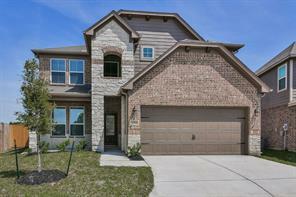 3 bedrooms plus a study, 2.5 baths & open living spaces. Stone & brick exterior. Kitchen features granite countertops, stone backsplash, stainless steel appliances, double ovens, 5 burner range, Butlers Pantry, skylight & an island. Cast stone fireplace in family room. Tile flooring throughout all common areas. Study enclosed by French doors. Master suite with wood look tile, dual granite vanities, corner tub & frameless glass shower. Full sprinkler system. Covered & extended back patio. Extended driveway. Home is zoned to Katy ISD schools. Community amenities include swimming pool, splash pad, rec center, parks & lakes. A must see! Owner takes pride in this home and it shows! Beautiful 2 story home in immaculate condition! Popular open floor plan that sells quickly. Great neighborhood with easy access to I-10 and 99! Lots of room in this 4/2.5 with an extra family room downstairs and large game room upstairs. The kitchen is suitable for a chef with the deep farm kitchen sink, large island with granite counter tops equipped with a whirlpool double oven! Refrigerator can convey if needed! Large master suite downstairs with double sinks, garden tub and large shower. Back yard boasts an extended patio. Subdivision has 2 kid play areas with pavilion, bathrooms and BBQ pit area. You will want to see this one! It is move in ready! Come see this beauty! 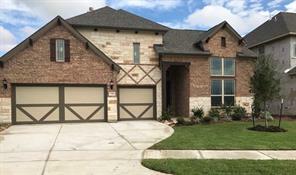 Fall in love with this beautiful Lake Ridge Builders home in the desirable neighborhood of Barkers Trail. This custom-built home features crown molding, premium tile flooring, Roman doors, and Carriage House garage door. Create new cuisines in the kitchen with granite countertops, 42”cabinets, upgraded glass/marble backsplash, and stainless-steel appliances. Retreat to the master suite with double sinks and 36” tub with separate shower. Relax with family on the covered patio. 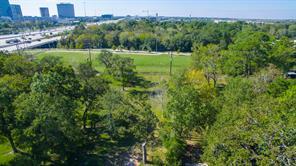 Just a short walk from Cullen Park, with 3-miles of walking/biking trails, picnic areas, and baseball/soccer fields. Ideal for commuters with easy access to I-10 Park and Ride Facilities. Schools are zoned to the highly-acclaimed Katy ISD. Call today for showing! MOVE IN READY! Come see this totally redesigned modern home built for Entertainment and Relaxation. Located on the one of the best lots of the subdivision with a lake view from 22 windows. If you are looking for a home with an Office, Game Room with an artistic appeal then this home is for you. This home is Energy Certified with Energy Efficient Windows, Doors, Appliances and LED Light Bulbs in throughout. All rooms have been pre-wired for cable and internet. Home has also been pre-wired and fit with a Surround Sound System in the Living Room, Game Room & other areas. This home also features a Go Control touch screen security system and a built in Pest Control System within the walls. Back Rod Iron Fence gives way to the awesome view of the lake and gives direct access to the lake. Home has been taken care of very well. This is a must see. 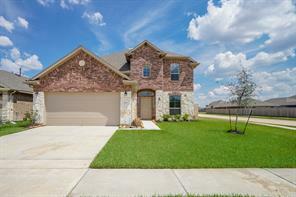 Settle in to this stunning Lake Ridge Builders Home in the family-friendly community of Morton Creek Ranch. This 4-bedroom, 2.5-bathroom property boasts a premium elevation, metal balusters, 2” faux wood blinds, study with French doors, and a covered patio. Achieve your own gourmet creations in the kitchen, where you’ll find 42” cabinetry, granite countertops, and upgraded stainless steel appliances. Relax in the peaceful master bathroom featuring dual vanities, a 42” tub, and separate shower. Conveniently located near I-45, with just a short drive to premier shopping, dining, and entertainment at The Woodlands Mall, Market Street, and the Cynthia Woods Mitchell Pavilion. Schools are zoned to Conroe Independent School District. Call today to book your showing! 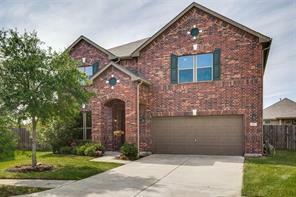 Large 5/3.5/2 home in ESTATE section of Barkers Ridge neighborhood. Master bedroom with his/her walk in closets, double sinks with granite counter, shower and tub separate. Four secondary large bedrooms/walk in closets and a media room pre-wired for projection. Bathrooms have tile floors and granite counter with tub/shower combo. Formal dining room with wood floor. Family room has a cozy fireplace and wood floors. Kitchen with breakfast area, granite counter tops, stainless steel double ovens, microwave and gas cook top. Large, high ceiling in foyer with storage area under stairs. Relax on your paver stone patio in a backyard ready to BBQ or entertain. 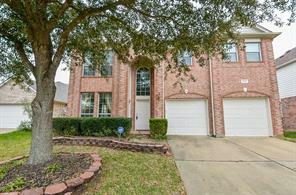 This home is in a well established neighborhood, great neighbors, KISD schools and active HOA. MUST SEE! 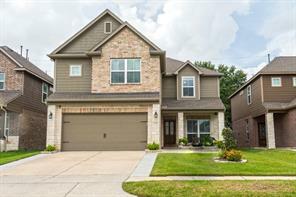 **BACK ON THE MARKET- BUYER LOST JOB 1 WEEK BEFORE CLOSING**SHOWINGS WILL START 8-15-18 IMPRESSIVE 2 Story Lakeside home in a quiet cul-de-sac. 2 Story entrance with a dramatic Iron Spindle Staircase greets you as you step inside. Gorgeous Kitchen w/ elegant granite countertops & tumbled marble backsplash, an enormous Island that opens up to the breakfast & living area, perfect for entertaining family/friends. Large Formal Dining has stunning view of Lake. French doors lead to private study w/ view of the Lake. 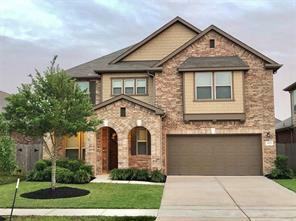 Huge Master bedroom has coffered ceiling & Master bath w/ separate shower, jetted tub & walk in closet. You will have a great time sitting in your back yard with an extended large patio that includes a fire pit and a view of the lake. Lighted walking trails around lake. Short 5 minute walk to area pool that is open year round. Close to 99 and I10. One owner. 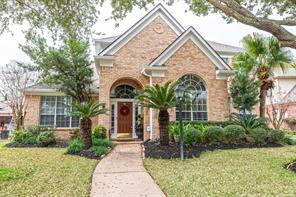 You will love the Lake views from this Stunning home in the heart of Katy! Hurry this one won’t last long! NO FLOODING! The Calloway WOOD FLOOR (ist Floor) has 4 generous sized bedrooms, formal dining, family room & a huge game room! 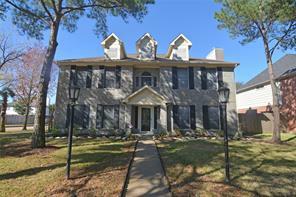 This home has a 2-story entry foyer with wrought iron stair balusters & 3-1/2 baths. Feat. included: Stone accents at the front, 42'' maple kitchen cabinets, 8'' deep undermounted kitchen sink, recessed can lights and granite kitchen countertops, double vanities in the master bath, honed marble countertops in bathrooms, tile floors wet areas, separate shower in master bath, front landscaping & sprinklers. YOUR CLIENTS WILL LOVE THIS HOUSE. Welcome to this well maintained home featuring 5 full sized bedrooms, 3 ½ bathrooms, a large game room and a formal dining room. 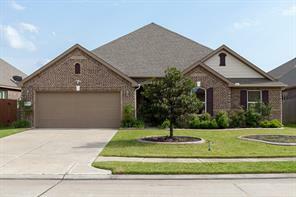 The home is situated on a cul-de-sac street and backs to a green belt which has walking trails and play areas. There is plenty of room to play and enjoy the outdoors. There is a locked gate in the rear fence which leads directly to the greenbelt. Home features a wonderful kitchen with a breakfast area that opens up to the large family room. Wood floors in the large well-lit master bedroom, family room and dining room. Tile floors in the kitchen, breakfast area, master bath and hallway. Per seller upgrades to the property include upstairs AC unit replaced in 2017, granite counter tops in 2015, and blinds in 2016. Also per sellers home did not flood. 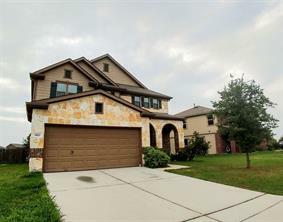 Stunning 1.5 story home with 4 bedrooms 4 bath and tons of upgrades!! 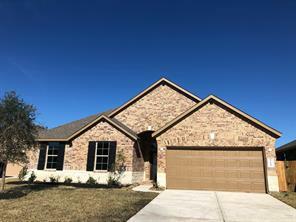 Includes mother in law suite with full bath and welcoming entry way with vaulted ceiling, tile flooring, spacious living room with beautiful upgrades in the entire home. Create beautiful memories in the beautiful gourmet kitchen w/ tile backsplash, upgraded granite counter tops and serving bar. Upstairs entertain your kids with a large game room and full bath. Relax in the backyard under your covered patio and enjoy the beautiful view of the lake. This home has it all and it will not last long!! MLS# 70281764 - Built by History Maker Homes. CONST. 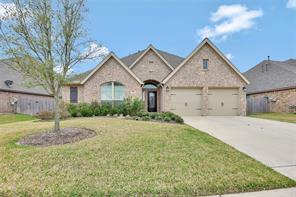 COMPLETED Jun 15 ~ Beautiful 5 bedroom and 3 and a half bath on a cul de sac lot. 2 bedrooms down with one being the master bedroom. Stainless steel appliances with this gourmet kitchen. Loft gameroom upstairs with 2 full baths and spacious 3 bedrooms upstairs. Fabulous opportunity for a rare 5 bedroom spacious home with a large pool on a desirable corner lot! Recently installed gorgeous flooring in the entry, family room, dining room, powder room. All bathrooms with stunning new floors. Carpet throughout the upstairs recently installed. Large kitchen with a wonderful built in desk area, and the breakfast room with bay window overlooking the pool. Master bedroom is down with large master bathroom and spacious walk in closet. Upstairs features a huge game room and 4 large bedrooms all with walk in closets. 2 bedrooms share a jack and jill bathroom. Lovely covered patio area, pool surround was recently done. Huge pool is just ready for summer fun! 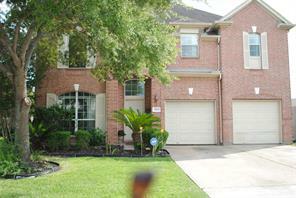 Detached garage with covered breezeway. . Great Katy school's and home did NOT FLOOD. Located in the beautiful and established neighborhood of Williamsburg Settlement, this beautifully updated house is ready for move in! Open floorplan with 3 bedrooms and 2-1/2 baths. Master retreat on first floor with large master bath with dual vanity. Large living room with gas fireplace and wall of windows. Built in bookshelves and cabinets surround the fireplace. Wet bar convenient to entertaining areas, with a dining room by the living room and wet bar. The kitchen has granite and stainless steel appliances, with a breakfast room attached. And utility room off to the side. Upstairs is a large game room, 2 bedrooms and 1 full bath. The backyard is an oasis! Sitting on over 12,000 square feet, this property has a private heated pool, and was recently replastered. Plenty of space in the back with a sitting area under the trees. And a fenced in side yard behind the garage. Connected to the garage is a shed with window unit for dog shed. You won't want to miss this one! 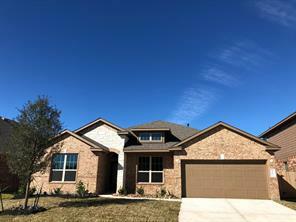 This Katy two-story home offers a fireplace, stainless steel appliances, granite kitchen countertops, master bathroom with separate tub and tile-surround shower, covered patio, and two-car garage. Upgraded features include HVAC. 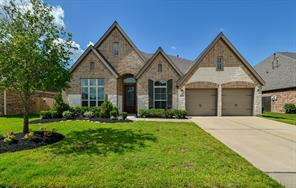 You won’t be able to resist this stunning Briarwood Home on a spacious lot in the community of Morton Creek Ranch. 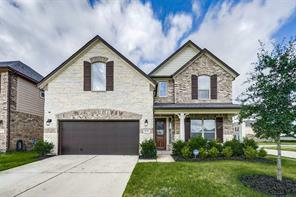 Property boasts a stone elevation, fireplace with cast stone surround, 2” faux wood blinds throughout, and full gutters. The island kitchen is a chef’s dream with 42” cabinets, granite countertops, upgraded stainless steel appliances, and tile backsplash. Spend your days relaxing on the covered patio. Ideal for commuters with proximity to I-10 and the Grand Parkway. Enjoy nearby shopping, dining, and entertainment at Katy Mills Mall and LaCenterra at Cinco Ranch. Schools are zoned to the nationally recognized Katy Independent School District. Call today to arrange your showing! Gorgeous and spacious two story home located on quiet cul-de-sac street. Amazing open floor plan. Spacious kitchen w/large island & huge sunroom/breakfast area. Light & bright family room and Dining area. One-bedroom downstairs that can be use as a guest room or study. Game room upstairs and two additional bedrooms plus Huge Master bedroom with a master bath that offers double sinks, separate tub & shower. Laundry room centrally located for convenience in the second floor. Alarm system, sprinkler system. Highly desired Katy ISD Schools. Dog park, playground, walking trails. Don't miss out on this well cared for gem! 4 bedrooms, 2.5 bath, 2 story on a corner lot with a side swing driveway in Williamsburg Settlement. Beautiful curb appeal, 11 zone sprinkler, double paned windows. Backyard paradise with extended covered patio and pergola. The inside is just as beautiful with tile throughout the downstairs living areas, granite, double oven, Shaker style cabinets, breakfast bar, recessed can lights. PEX plumbing recently installed, south facing front door, whole house water softener, built-ins in the game room, and much, much more. Just a short commute gets you to the Energy Corridor, I-10 and Grand Parkway. LOTS of shopping and dining nearby at Katy Mills and La Centerra, the Cypress Outlet Mall is just a few minutes up the Grand Parkway. 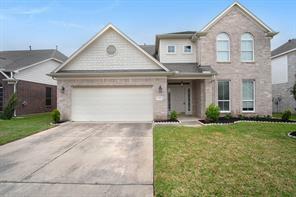 Don't miss out on this chance for low taxes, great area and award winning Katy ISD. 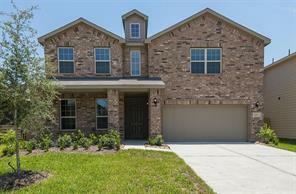 You'll love this spacious 2 story home in Ventana Lakes. Bright kitchen with granite countertops and tile flooring. Large backyard for lots of fun and family gatherings. You will be captivated by the spacious beautiful property. Property has water system and all stainless appliances. You won't want to miss out on this amazing HOUSE you can call your HOME. DID NOT FLOOD! Welcome Home! Charming Traditional style home in lovely established Williamsburg Settlement. 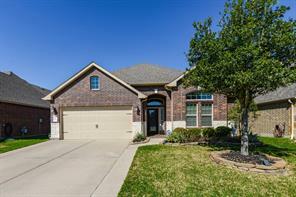 Located right on the corner within viewing and walking distance to award winning Winborn Elementary in KISD! Perfect family home to build memories to last a lifetime! Gorgeous mature trees in front yard with beautiful new landscaping. New roof in 2015 and New A/C in 2014. 2017 Fresh neutral paint through out the entire house with updated cozy kitchen. Excellent size master bedroom/bathroom with an updated master shower to relax and rejuvenate! Three spacious secondary bedrooms upstairs with a huge game room, perfect for kiddos to entertain and play with their friends! 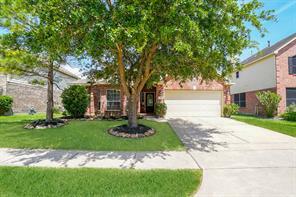 Gorgeous backyard with covered patio and beautiful mature trees that provide ample shade. Visualize all the parties and entertaining with family and friends in this fantastic backyard! 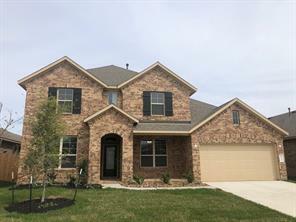 Schedule an appointment today to come and see this gorgeous home and make it your own! 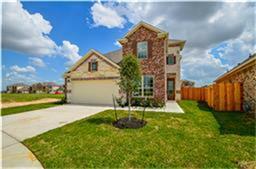 Come home to the stylish living of Katy, found here in the established community of Morton Creek Ranch South. 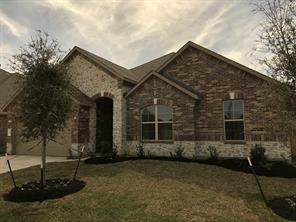 This 4-bedroom, 2.5 bath home features a gas log fireplace with cast stone surround, island kitchen with granite countertops & gas range, and covered patio. Area amenities include a family park complete with a swimming pool, miniature golf, and walking trail. Just a short drive to premier shopping and dining, with easy access to I-10 and the Grand Parkway. Schools are zoned to the highly-acclaimed Katy Independent School District. Call today to schedule a private showing! 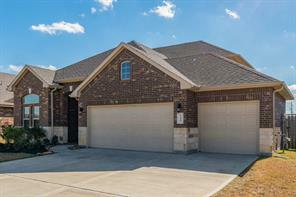 Built in 2006, this Katy two-story offers a fireplace, granite kitchen countertops, a loft, and a two-car garage. Upgraded features include a new roof. A community pool and playground are part of the Lakecrest HOA. Proudly introducing HistoryMaker Homes to the Houston community. With over 70 years of experience building homes in the Dallas/Ft Worth area, this family owned company has provided More Home for Less Money for thousands of families. 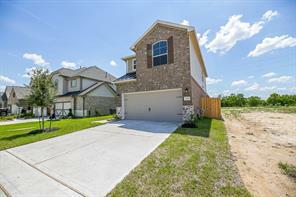 The Lakes at Mason Park community is conveniently located near both The Grand Parkway and I-10 making the drive to the Katy Mills Mall a breeze. Students attend highly acclaimed Katy ISD schools, residents enjoy the resort-style pool and fitness center, and it boasts one of the areas lowest tax rates. This beautiful 4-bedroom, 3-bathroom Sequoia Plan boasts 9' ceilings in the first floor, an extended covered patio, a welcoming covered front porch and a large gameroom. The chef-inspired kitchen features 42" cabinetry, granite countertops, an island and stainless-steel appliances. The master boasts an oversized shower, walk-in closet and dual sinks. Don't miss this fantastic opportunity. NO FLOODING! Enjoy a relaxing evening and beverage with sunset views from your lakefront patio. Larger than avg floorplan. 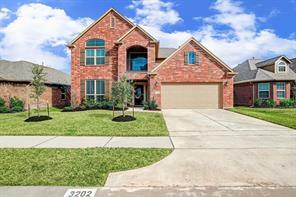 4 bedroom, 2 baths, 2500 sq ft, 1 story home in Katy, TX has new carpet and gourmet kitchen and breakfast area opens to the den. Remodeled bathroom. Home has tons of closet and cabinet space. Full sprinkler system. Covered patio with ceiling fan. 4 sides brick. Corner lot, the home has only 1 neighbor and desirable location w/lake in the backyard. Just minutes walk away is the clubhouse and pool for the neighborhood. Jog/bike trails around the lake are at your backyard. You are going to love this! 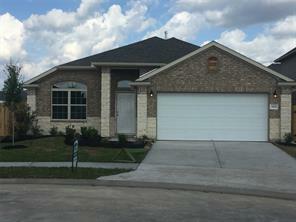 Proudly introducing HistoryMaker Homes to the Houston community. With over 70 years of experience building homes in the Dallas/Ft Worth area, this family owned company has provided More Home for Less Money for thousands of families. 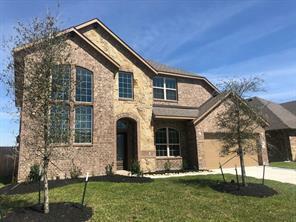 The Lakes at Mason Park community is conveniently located near both The Grand Parkway and I-10 making the drive to the Katy Mills Mall a breeze. Students attend highly acclaimed Katy ISD schools, residents enjoy the resort-style pool and fitness center, and it boasts one of the areas lowest tax rates. This welcoming 4-bedroom, 3-bathroom home features a covered front porch, extended covered rear patio, study with French doors, and a large gameroom. The chef of the family will love the rich Espresso cabinetry, granite countertops, center island and stainless-steel appliances. Visiting friends and family may never leave the downstairs guest room. No need to fight over closet space as there are 2 in the master bedroom! 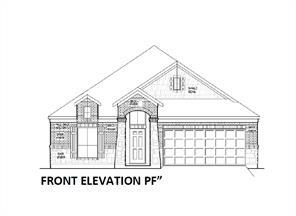 Essex 1 Story 2070 sqft, Elevation B w/Stone. 3 Bedrooms-2 Baths Home with a Dining Room & Study. 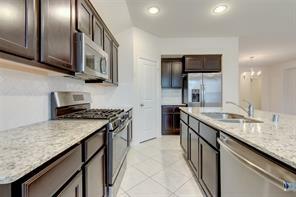 Kitchen has 42" Cabinets with Granite Countertops & Stainless Steel Appliances. Tile in Kitchen/Breakfast and all wet areas. Spacious Owners Retreat with Walk-In and Spacious Closet. HomePro Standard Wiring and Covered Patio. Chrome Color Washer/Dryer Front Load with Pedastals Included. GreenEco Builders has 16 Seer HVAC. Verify estimated room dimensions, programs, HOA info & all features with on-site sales as details are subject to change. 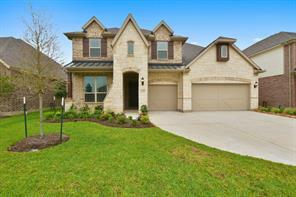 This Lake Ridge Builder’s home in the family-friendly community of Barkers Trail is a must-see! Nestled on a spacious lot, this property boasts a premium elevation, tankless water heater, and a covered patio for outdoor entertaining and leisure. Hone your culinary skills in the chef’s kitchen, featuring granite countertops, tile backsplash, and 42” cabinets. Unwind in the spa-like master bathroom, complete with dual vanities, 42” tub, and separate shower. Spend family-time outdoors at Cullen Park, home to 3-miles of walking/biking trails, picnic areas, and sports fields. Commuters enjoy easy access to I-10 Park and Ride Facilities. Schools are zoned to the nationally-recognized Katy Independent School District. Call today for more information! 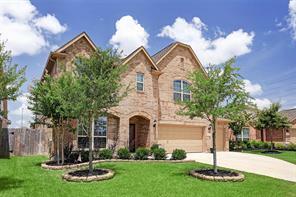 Settle into this gorgeous home in the family-friendly community of Katy Oaks. This 2-story property features an open floor plan with 4 bedrooms, 2.5 bathrooms, game room, and extended patio. Bring out your inner chef in the spacious island kitchen with granite countertops, double oven, subway tile backsplash, large undermount stainless-steel sink, gas range, and ample storage space. Spend your evenings relaxing in the master suite with double sinks, garden tub, and separate shower. 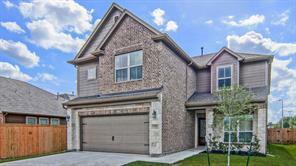 Well-situated with easy access to I-10, the Grand Parkway, LaCenterra at Cinco Ranch, and Katy Mills Mall. Schools are zoned to the highly-acclaimed Katy ISD. Schedule your showing today! One of it's kind in this community! Very rare 5 bedrooms with 3/1 bath in Westfield for sale! House is recently renovated. Master bedroom down. Oversized foyer. Bright living room with lamination wood floor. Granite counter-top with brkf. Built in shelves, 3 fireplaces!! fairly new HVAC. bathroom with fireplace. Square and large back yard. Extended patio. Acclaimed Katy ISD. Minutes away from everyday shopping! Look no further, schedule and view your dream house! Never flood during Harvey! 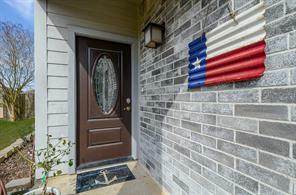 Beautifully updated home in the community of Oak Ridge with easy access to I-10 and Houston's Energy Corridor. This home has been completely updated with new travertine floors throughout the main living areas, wood floors in the office and on the stairs, and fresh carpet in all bedrooms and game room. The family room features custom stone fireplace and two sets of glass french doors leading to the back yard. The kitchen has been completely redone with white cabinets, granite counters, stainless appliances, and new light fixtures. Other home features include covered back patio, almost new AC units, landscape lighting, and much more! Great Katy ISD schools! INCREDIBLE PRICE! 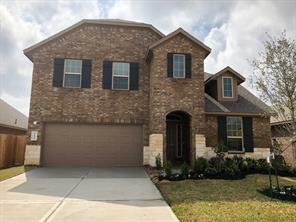 Gorgeous 4 bdrm 2.5 bath Lake Ridge Builders home with impressive space, beautiful finishes, a premium elevation and zoned to award winning Katy ISD schools. 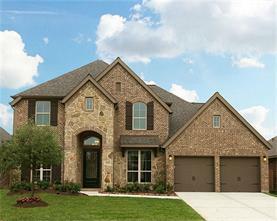 You will love the desirable Barkers Trail Community! The space you want including Master Suite, Family Room, Kitchen, Half Bath and Dining Room on the 1st floor. Game room, Media Room, Dedicated Study, and 3 Secondary Bedrooms on the 2nd floor. Kitchen features stainless appliances including a microwave, 42 inch Maple cabinets, under cabinet lighting, Giallo Rustico granite counters, designer tile backsplash, Italian tile flooring, and a spacious breakfast bar. An entertainers dream with a game room, media room, and backyard with covered patio. Carriage House garage door with metal straps, front gutters, and a 30yr roof! Incredible location near Cullin park which includes a ball field complex, picnic areas, hike and bike trails, playgrounds and more! Easy access to I-10 park and ride. Schedule your showing TODAY! 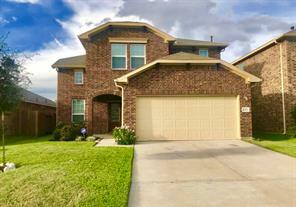 Gorgeous 2 story home with 5 bedrooms 3 and a half bathrooms with a 3 car garage in Williamsburg Parish. Great entertaining with open kitchen to the large living room with cozy fireplace and tons of shelving and storage space. All new tile and shutters throughout the house. Brand new roof and upgraded appliances throughout the home, energy efficient, tankless water heater, Never Flooded! Not to mention close to Energy Corridor, shopping centers, entertainment & worship. Come take and look and make it yours today! 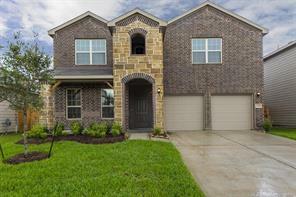 Beautiful Lennar one-story energy efficient home is located in a great neighborhood within KATY ISD and has a low tax rate. This home features 3 bedrooms, 2 full baths with an attached 2-car garage, and study! There is an additional spacious flex room with high ceilings, french doors that lead to the backyard, and has it's own mini split HVAC... so many options for this extra room - A MUST SEE!!! 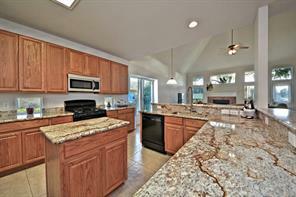 Island kitchen with granite countertops, great cabinet & counter space, and open to the family room. High-Efficiency HVAC 2 Stage 16 Seer Heat Pump w/Variable Speed Blower. The living room and flex room are prewired for surround sound. A great home to relax with family after a hard days work or entertain guest on the weekend. Come by today and see your new home!!! Welcome to Sommerall Park! 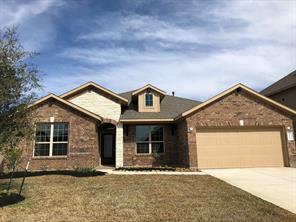 4 beds, 3 full baths is a one story, 2 car attached garage with the Open Concept Plan Kitchen ALL Stainless steel appliances - granite counters -Undermount sink - Large Island, spacious pantry - 42' maple cabinets and beautiful tile backsplash -Light and bright breakfast area . 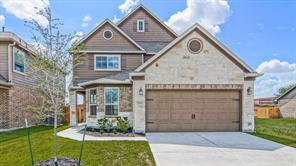 High Ceiling, Master Suite-Lovely Bath w/Dual Sinks + Garden Tub & Separate Shower, Zoned to the HIGHLY sought after Cypress Fairbanks ISD. Located just minutes from the Grand Parkway, I-10, Hwy 290, DOWNTOWN HOUSTON & lots of nearby shopping. Relaxing covered patio & stone/brick elevation! Exterior with 4 sided Bricks. Extra upgrades include Home Video Surveillance Security Cameras. High and Dry during Harvey! Located on a Beautiful Cul-de-Sac with Mature Landscaping. Desirable floorplan built by Pulte in a very favorable quiet location of this Subdivision. 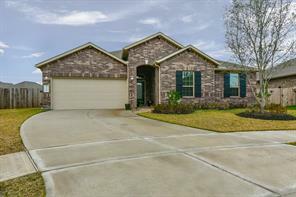 Home offers updated kitchen with granite countertops, large undermount single bowl sink, VIKING gas cooktop, Vent Hood, Travertine backsplash. Other updates include: New PABCO 30 year shingle roof, exterior paint, remodeled half bath, remodeled upstairs bathroom, remodeled master bath with custom frameless shower glass and high rainfall shower head, LED bulbs, double pane windows in breakfast bay. 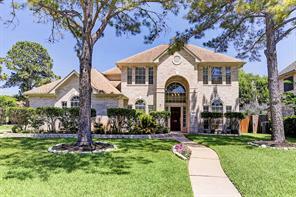 Den has high vaulted ceiling, study with custom built-ins, large gameroom upstairs. This home is a must see! Don't miss this outstanding home in Barkers Ridge Estates! Corner lot with pool on a Cul-De-Sac! . 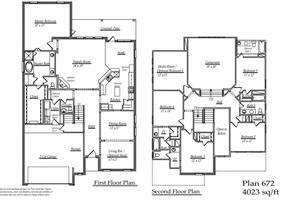 Huge floor plan including Family Room, Game Room and STUDY. Hollywood bath connects the study and secondary upstairs bedroom. Two fulls baths upstairs, half bath down. The kitchen features granite counters. Master down, master bath with double sinks, separate tub and shower. Detached garage. Close to schools and super easy access to I-10 and the Energy Corridor. Lots of recently updated features including replaced windows which are hurricane rated, AC replaced in 2018, tankless water heater, house Re-piped in 2015, Roof replaced in 2016, the attic features radiant barrier for energy efficiency and the heated pool has been resurfaced as well. Priced well to sell quickly. 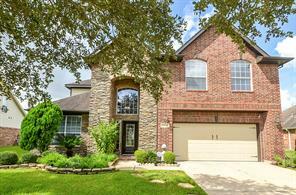 Traditional brick home with three car garage, spacious 6 bedrooms with game room and zoned to KatyISD. Formal Living and Dining, and cozy breakfast area with bay windows. Lots of upgrades in floor plan. Look no further! NO flooding! 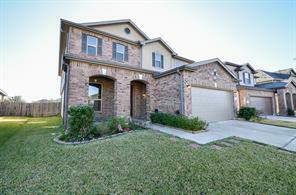 2 year old home zoned to award winning Katy ISD situated on a spacious lot with NO back neighbors. 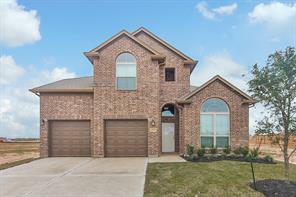 Open concept floor plan with high ceilings, recessed lighting, meticulously maintained carpet and tile. Floor to ceiling windows, gas fireplace and a kitchen fit for a chef with granite counters, tile backsplash, stainless steel appliances. Study/flex room with cheery French doors, formal dining area. Master Suite boasts picturesque windows, tray ceiling details, spacious en-suite with dual vanities, soaking tub, separate shower. All secondary bedrooms feature en-suite baths. Awesome backyard with extended patio and gas line for a grill or fire pit. Extended driveway and 3-car garage, ample storage throughout. Enjoy the benefit of a new construction home minutes from shopping outlets and conveniences, Hwy 99 and I-10! Finally, a large homes, 5 bedrooms with MASTER + ADD'L BEDROOM DOWN! Ideal layout for guests, nanny...home office...flexible space with FULL bath next to it - both secluded from the rest of downstairs. Desired open kitchen layout overlooking breakfast & wide-open family room; luscious wood type flooring, double-crown molding. Kitchen updated with GRANITE, tile & stainless appliances stay. Large, flowing rooms -- elegant, formal dining room - pretty in-the-round! Large bedrooms - all complete with lovely bedroom furniture if you desire...upstairs rooms - very lightly used. Step-up game room ideal for BIG BIG SCREEN TV & entertaining -- your your heart's desire! 2 full baths up, 2 full baths down. LOTS of storage & lots of flex spaces. Master bath is large & easily accommodates 2 morning routines! Pretty exterior, corner lot with well manicured, mature landscaping...Gazebo offers extra entertaining options. Private subdivision pool, walking trails in the area. Priced aggressively. 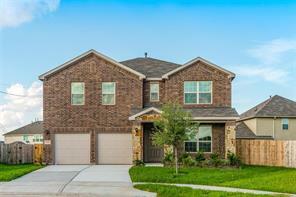 Come home to the stylish living of Katy, found here in the beautiful community of Morton Creek Ranch. Property features numerous upgrades including Roman doors, premium tile flooring, study with French doors, and covered patio. Dream up new cuisines in the island kitchen with granite countertops, 42” cabinetry, and upgraded stainless-steel appliances. Spend your evenings relaxing in the master suite with double sinks, 42” tub, and separate shower. Area amenities include family park complete with pool, miniature golf, and walking trail. Just a short drive to premier shopping and dining, with easy access to I-10 and the Grand Parkway. Schools are zoned to the highly-acclaimed Katy ISD. Call today – your dream home awaits! Find everything you’ve been searching for in the illustrious community of Barkers Trail. 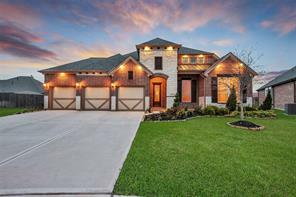 This stunning Lake Ridge Builders home is situated on a premium lot and boasts 42” cabinetry, granite countertops, and a patio. Enjoy rest and relaxation in the master bathroom, where you'll find dual vanities, a garden tub, and separate shower. 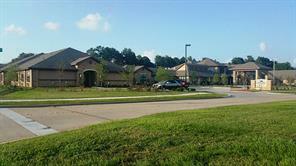 Area amenities include Cullen Park, walking and biking trails, athletic fields, and a picnic area. Conveniently located off I-10, with proximity to major shopping centers, restaurants and entertainment. Students attend the highly acclaimed Katy ISD. Schedule your private showing today! If you’re looking for the home of your dreams, you’ll find it in the picturesque Morton Creek Ranch community. Create chef-inspired cuisines with 42” kitchen cabinets, stainless steel appliances, granite countertops and a gorgeous glass backsplash. Enjoy rest and relaxation in the master suite, which features a double sink paired with a 42” tub and shower. The spacious backyard features a covered patio perfect for family events. Neighborhood amenities include a swimming pool with beach entry, splash pad, and a recreation center with separate picnic pavilion. 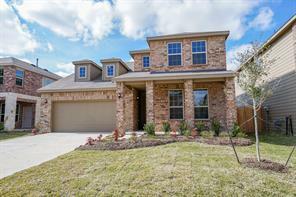 Located near Grand Parkway and I-10, with easy access to shopping and dining at Katy Mills Mall. Students are zoned to the acclaimed Katy Independent School District. Schedule your private showing today! 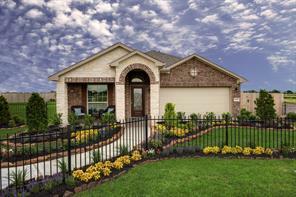 Find the home of your dreams in the highly-sought community of Morton Creek Ranch. 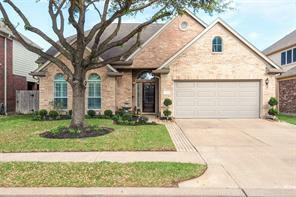 Situated on a spacious lot, this Lake Ridge Builders property boasts a premium elevation, wrought iron spindles, tile flooring, and a study with a French doors. Channel your inner chef in the gorgeous kitchen, featuring granite countertops, travertine tile backsplash, and stainless steel appliances. Melt away the stress in the master suite, complete with a walk-in closet, dual vanities, a 42” tub, and separate shower. The covered patio is the perfect place to relax on a nice summer day. Commuters enjoy easy access to I-10 and the Grand Parkway. Delve into premier shopping, dining, and entertainment at Katy Mills Mall and LaCenterra at Cinco Ranch. Schools are zoned to the nationally recognized Katy Independent School District. Call today for more information! 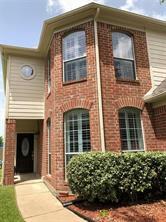 BEAUTIFUL and Well maintained 2 story 4/2.5 former model home. H U G E Backyard with POOL Covered patio. Front porch adds nice curb appeal.H U G E KITCHEN & Island.EXTRA LARGE MORNING ROOM. and WALK-IN PANTRY. LARGE LIVING ROOM. highceiling formal dining. 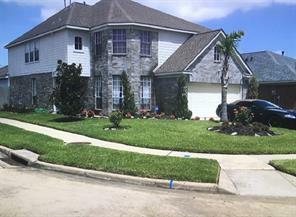 NEW HVAC (08/18).ALL BEDROOMS UP W/HUGE GAMEROOM.CLEAN CLEAN.within minutes of I-10 and grand parkway.KATY SCHOOLS. This beautiful property has upgraded floors, countertops, backsplashes, etc. Very well kept, it is ready to move in. It features a front porch and covered patio in a huge backyard, great for children to play or parties, with the privacy of no neighbors in the back. Priced at about $87/square foot only, it is a must see and will not last in the market Minutes from I-10 and I-99, this property is conveniently located closer to shopping, dinning and entertainment and in the desirable neighborhood of Vineyard Meadows, with great amenities. Come see this wonderful home! 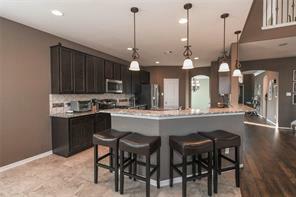 Great for entertaining with open concept floorplan. Kitchen flows into living area adjacent to formal living and dining areas. Engineered wood floor and tile down make keeping it clean a breeze! Master bedroom has a sitting room attached that can be a great yoga retreat or a nice place for the new baby's crib! Huge backyard gives the kids plenty of room to play. Community park is just a few yards away as well! If you need room to spread your wings this is the home for you! Huge KB floor plan with three living areas plus a study/office as well as a great outdoor space with covered patio. The first floor is tiled through out and features an open floor plan with the gourmet kitchen being the center of everything. The smooth granite counter tops and shiny stainless appliances will make any chef eager to prepare delicious meals. The breakfast island, double door pantry and 42 inch cabinets add extra storage. The family room and adjacent sun room are perfect for entertaining! Upstairs is the game room, master suite and two ample sized additional bedrooms, two full baths, and the utility room. The master suite includes a huge walk in closet and double sinks with walk in shower. Enjoy the great outdoors with the covered patio perfect for barbecues or just relaxing in the shade with a glass of your favorite beverage. Washer, dryer, and refrigerator included! Zones to Stockdick Junior High. 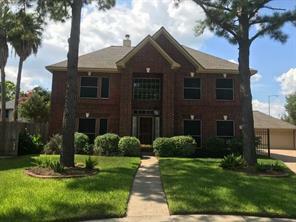 You'll want to show this huge 4-Bedroom, 2.5 Bath...over 3,000 SF home located in Katy......Also Zoned to the Exemplary Katy ISD School District!! This home offers an open plan to the Living and Kitchen area....great for entertaining, Breakfast Bar & Breakfast Area, Formal dining, and Formal living room, also could be used as a Study. The Huge Master is located on the 1st Floor.....has his and her sinks and a separate Jacuzzi tub and Shower. There's a Gameroom upstairs for more entertaining....Also offers a split floor plan separating the other 3 Bedrooms upstairs. Definitely don't want to miss this one!! Thanks for showing! 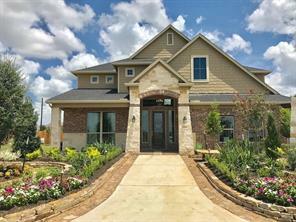 You won’t be able to resist this stunning Lake Ridge Builders home in Morton Creek Ranch. Property boasts a premium elevation, high efficiency tankless water heater, tile flooring, metal balusters, and a study with French doors. Create gourmet cuisines in the chef’s kitchen with 42” cabinets, granite countertops, and upgraded stainless-steel appliances. Retreat to the spa-like master bathroom with double vanities, a 42” tub, and separate shower. Spend your days lounging on the covered patio. Ideal for commuters with proximity to I-10 and the Grand Parkway. Enjoy nearby shopping, dining, and entertainment at Katy Mills Mall and LaCenterra at Cinco Ranch. Schools are zoned to the nationally recognized Katy Independent School District. Call today – your dream home awaits. MLS# 83553589 - Built by History Maker Homes. CONST. 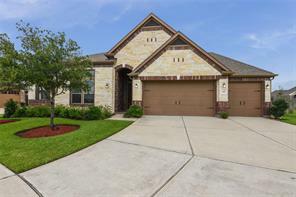 COMPLETED Aug 03 ~ Beautiful 2 story home with 5 bedrooms and 4 full baths. 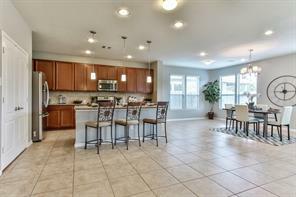 Gourmet Kitchen with granite counter tops, 42 inch Cabinets Stainless and steel appliances. Tile on all the wet areas. Deluxe Master bath with separate shower and tub and also double sinks. Prism Award Winning Hazelbrook 2-story floor plan! Tankless water heater, Covered patio with oversized backyard, elegant Venetian marble countertops in bathrooms, water filtration in Kitchen, 16 SEER HVAC and many more Green features too! Arrive in your private driveway and view the inspiring exterior elevation accented with shutters. Step into this beautiful open floor plan with 3 bedrooms plus a Gameroom perfect for the family to enjoy, spacious bedrooms with plenty of natural light and a Master suite that is a dream with spacious closet and windows facing the covered terrace. 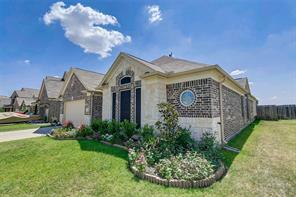 Don't miss an opportunity to own a home in the booming Katy Trails neighborhood! Call today to schedule your appointment! Verify estimated room dimensions, programs, HOA info & all features with on-site sales as details are subject to change.